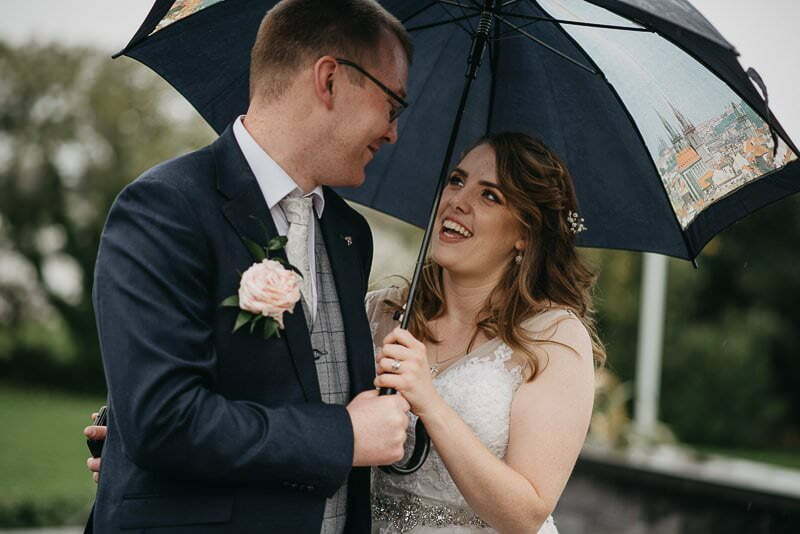 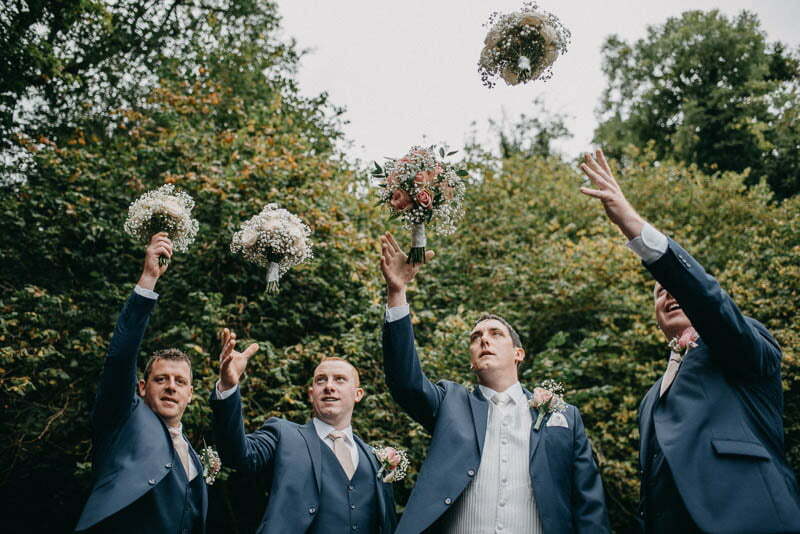 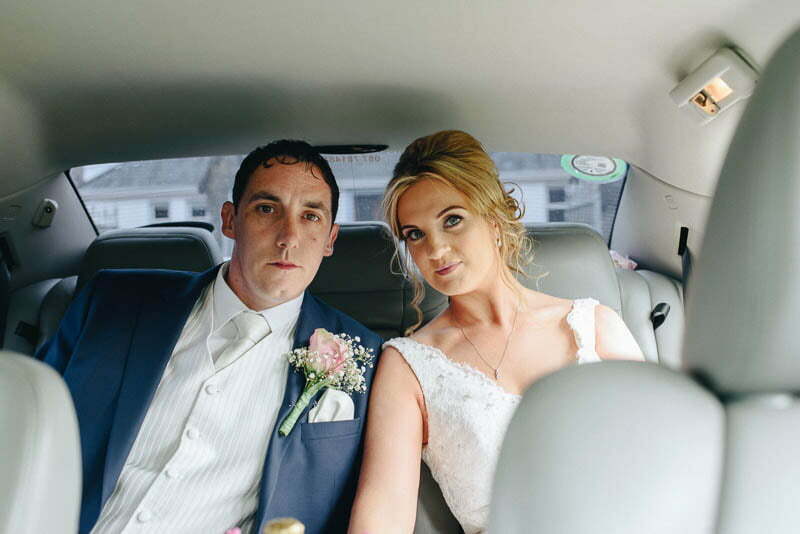 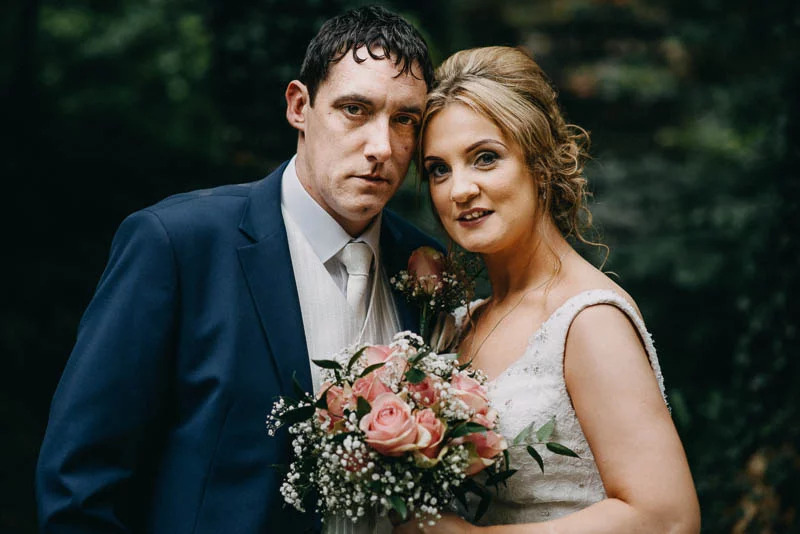 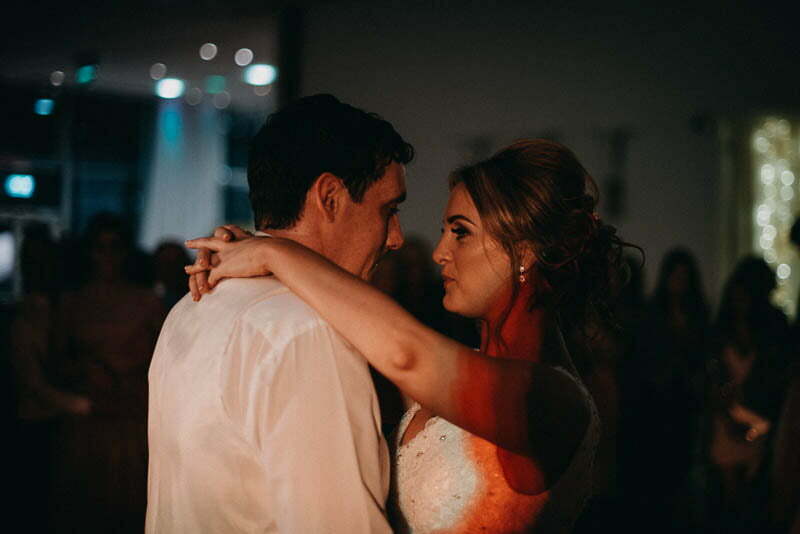 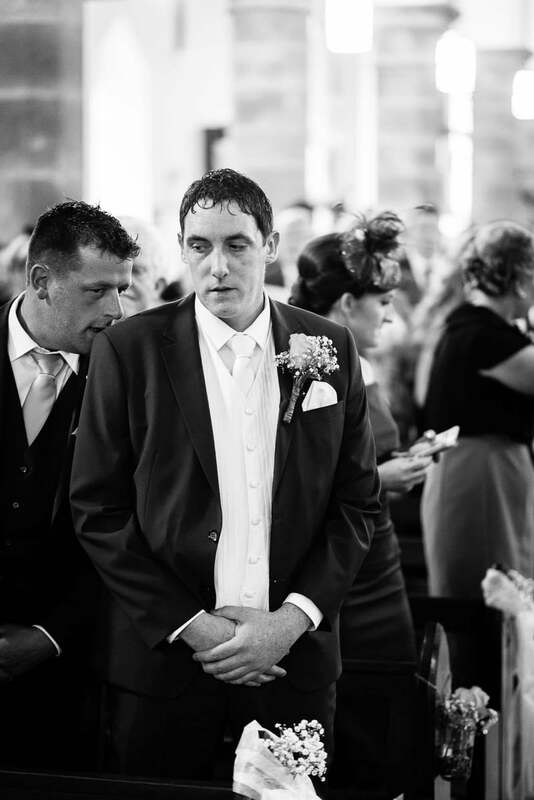 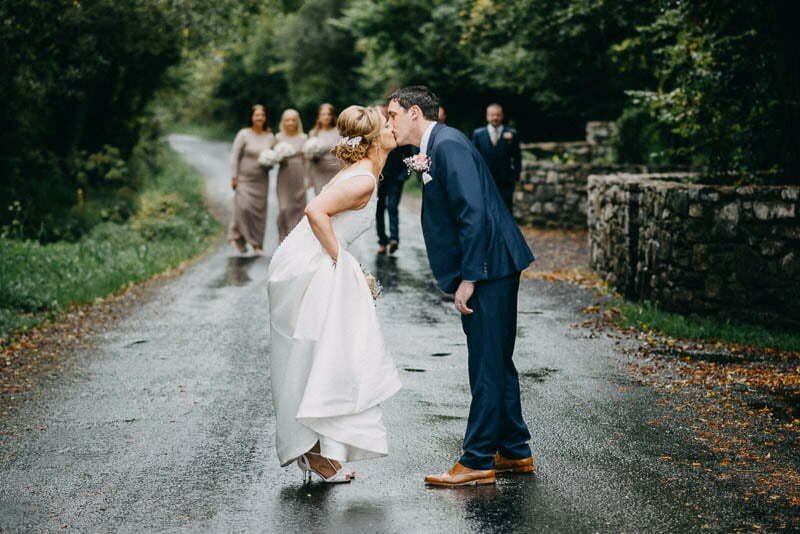 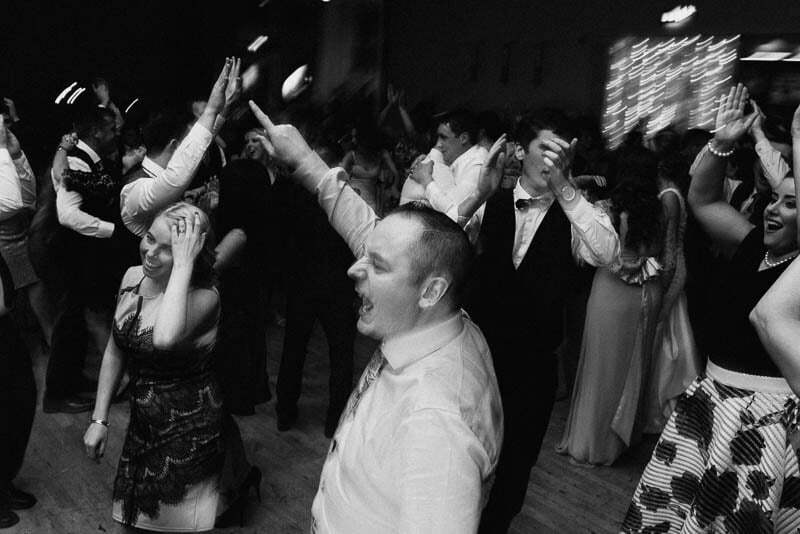 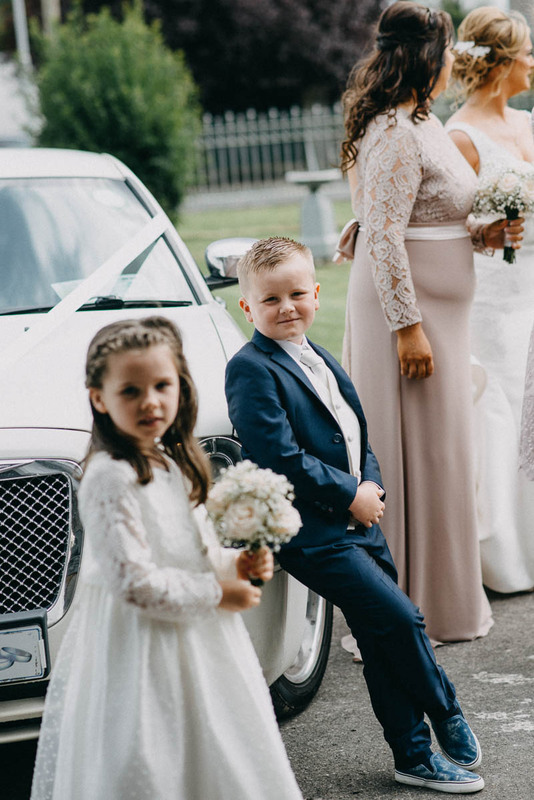 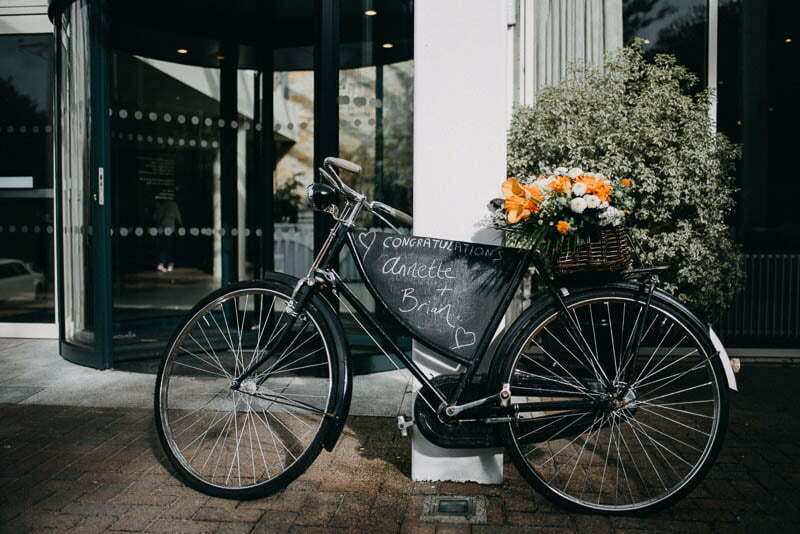 As an Irish wedding photographer, I have varied experiences while covering different types of weddings. 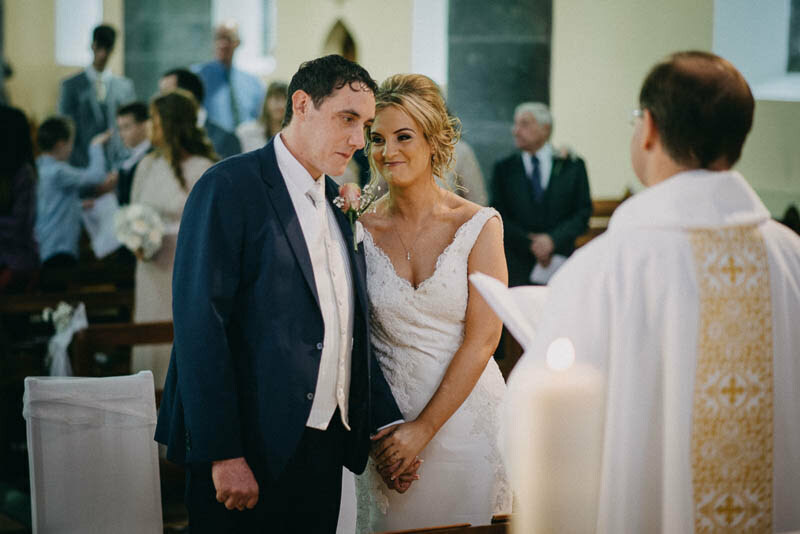 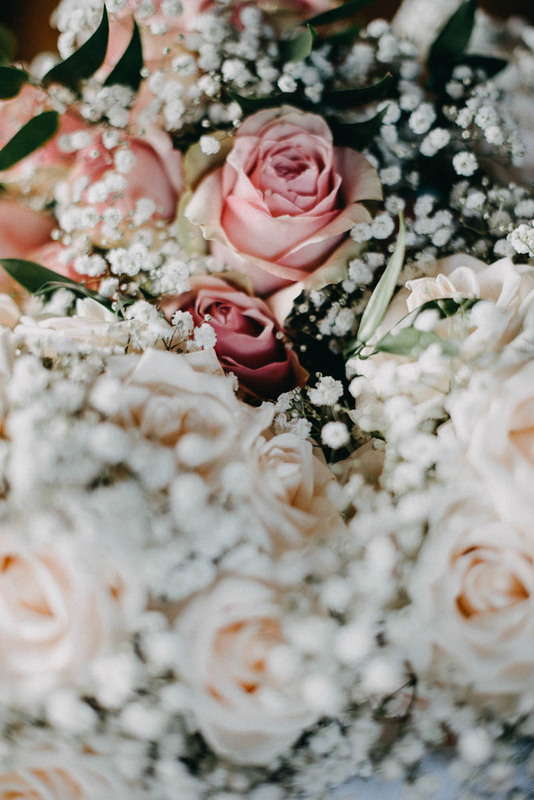 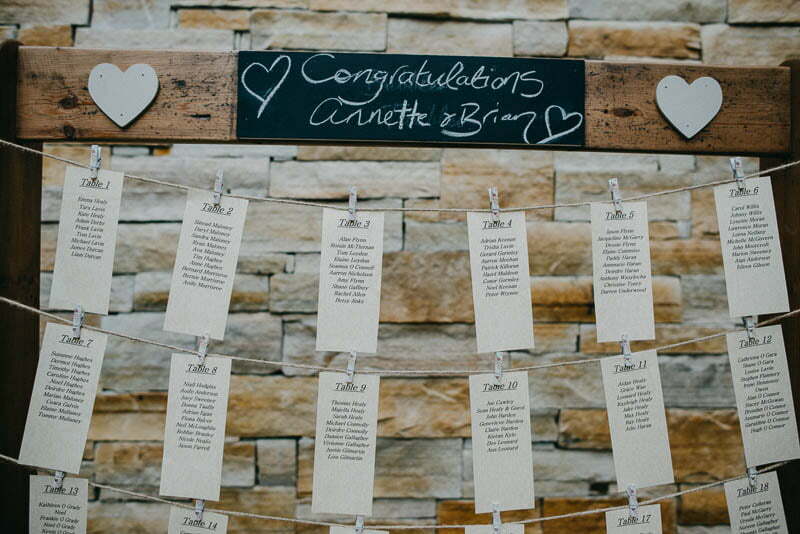 Every ceremony stands out in its own way as a beautiful couple starts their journey by solidifying their bond of love and happiness. 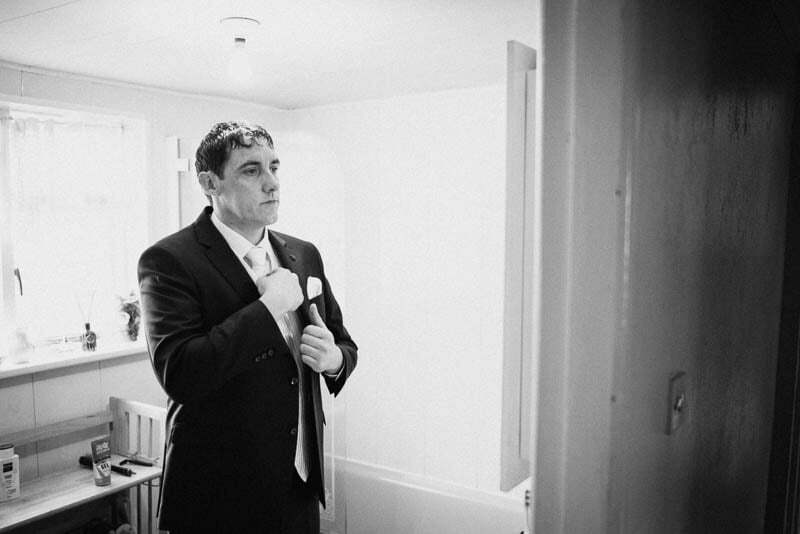 Brian got ready in his parents’ house along with the rest of the groomsmen. 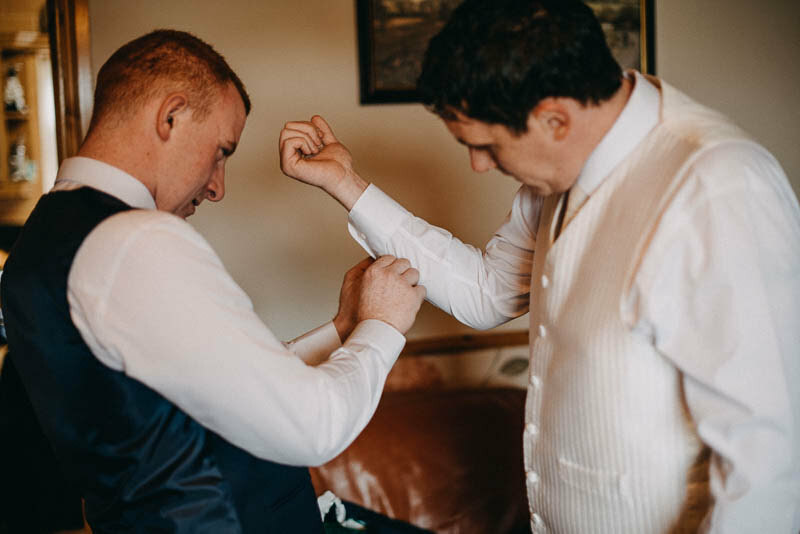 He wore a white waistcoat and tie underneath his suit, while the rest opted for dark waistcoats to match the suits, with cream colored ties as contrast. 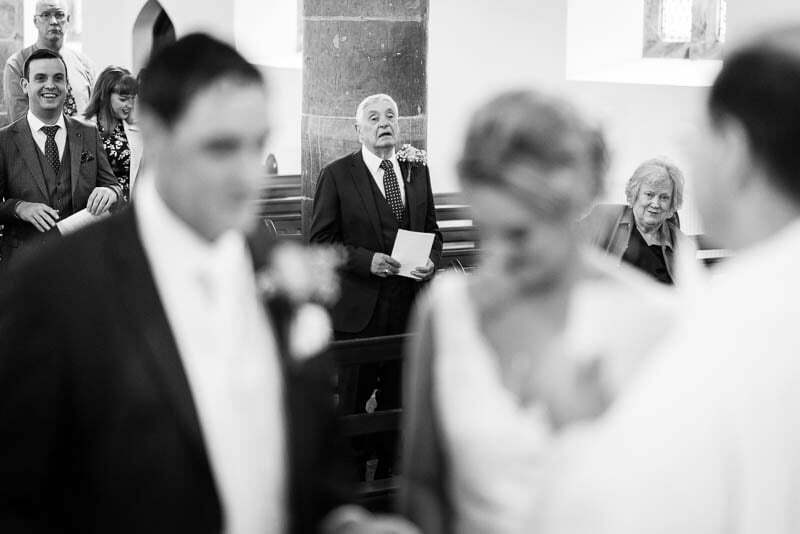 The mood was upbeat and joyful as the father of the groom also posed for photos. 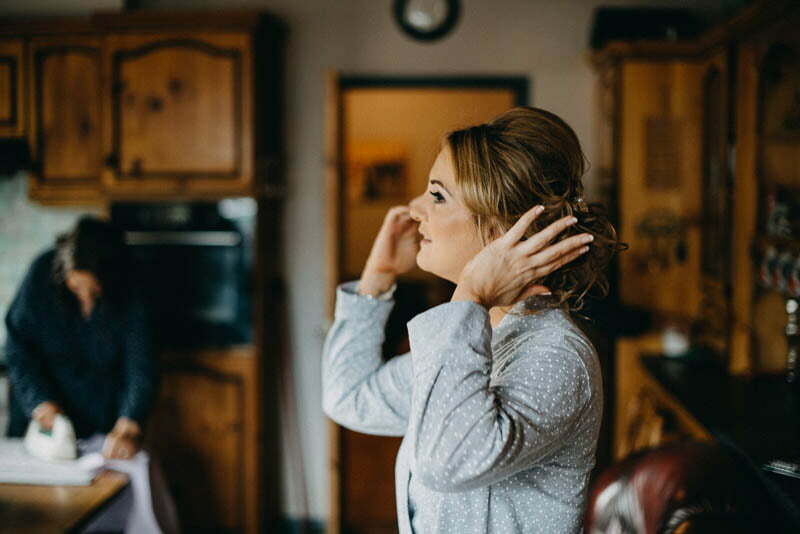 At the bride’s parents’ house, everyone was busy helping Annette get ready, while someone worked feverishly on getting the bright and vibrant blossoms ready for the bouquets. 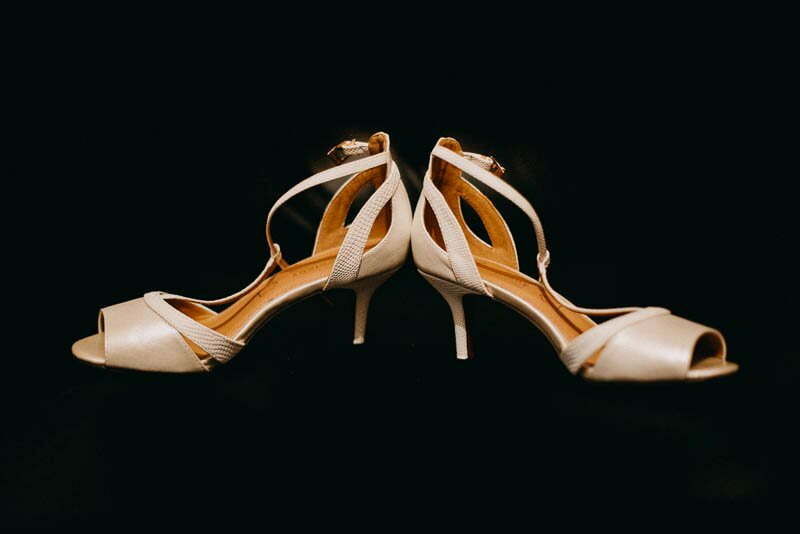 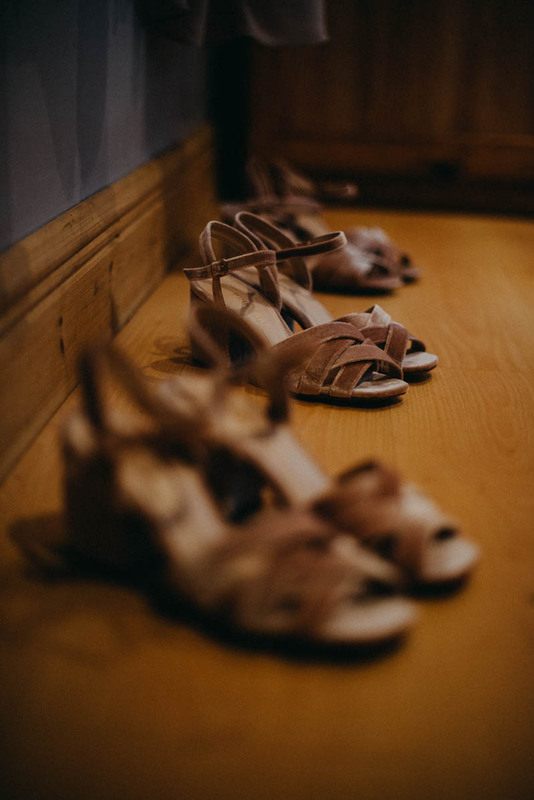 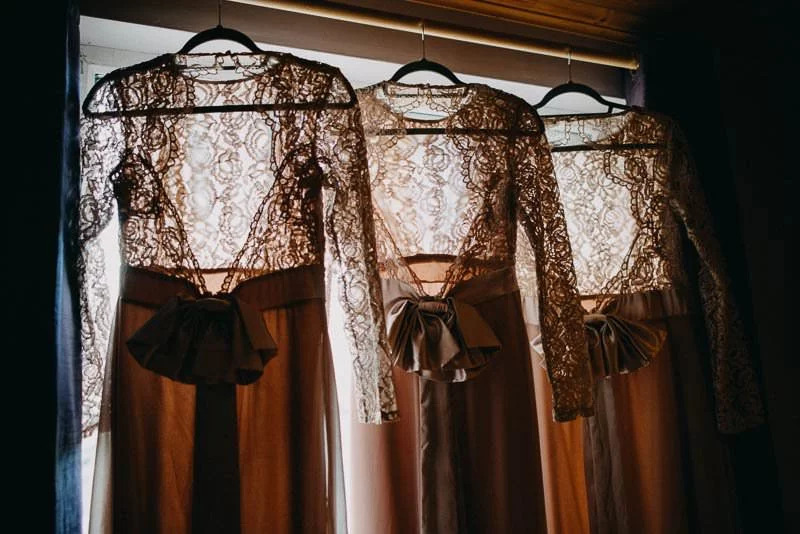 In keeping with the theme, all bridesmaids wore light colored dresses with matching shoes. 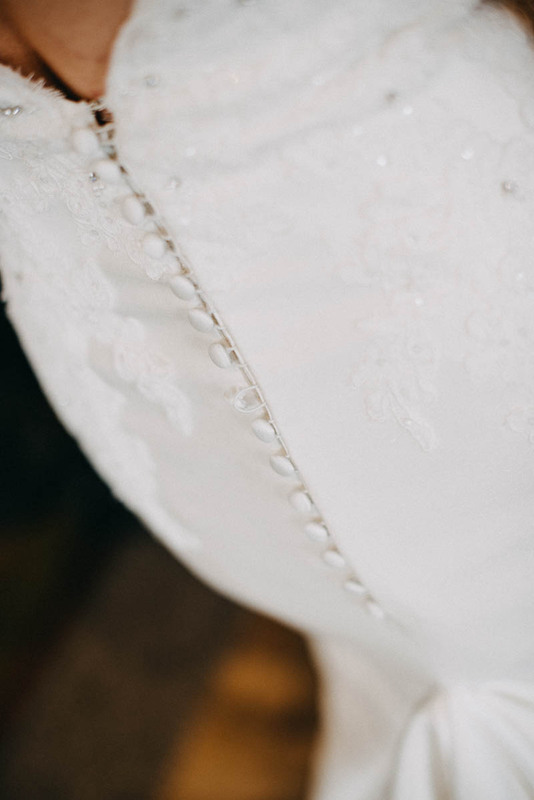 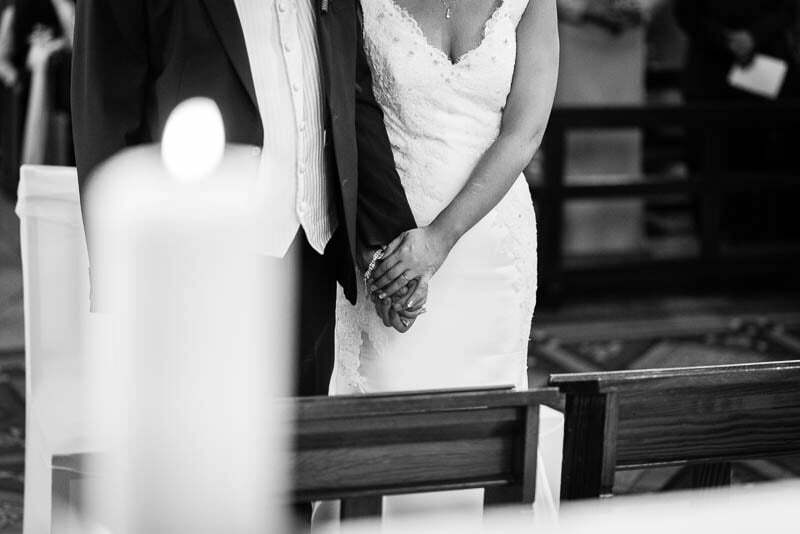 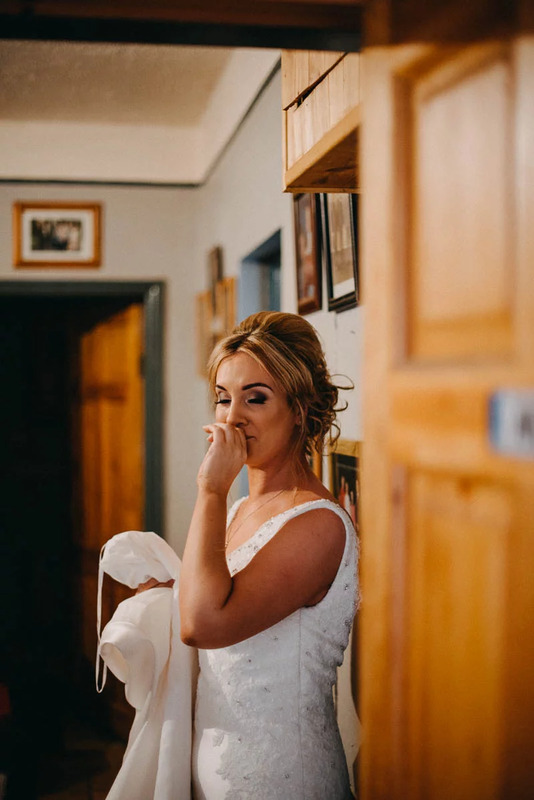 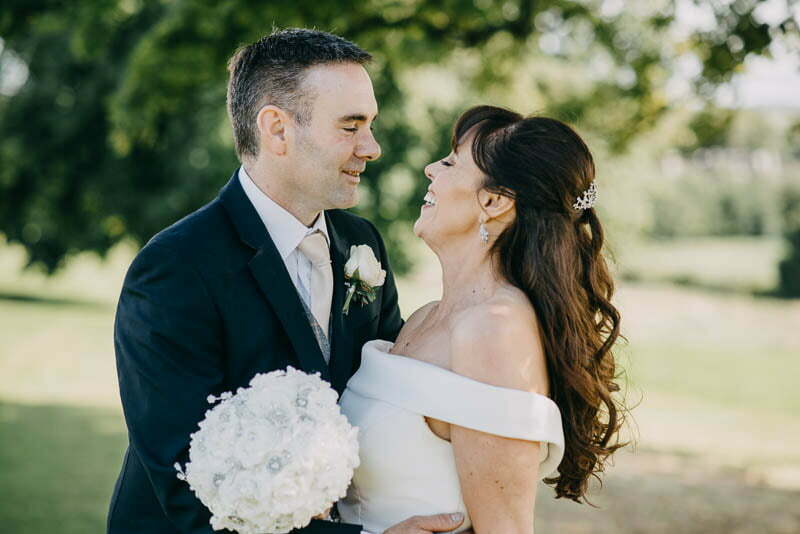 Annette looked stunning in a sleeveless white lacy gown, with loose tendrils framing her face beautifully. 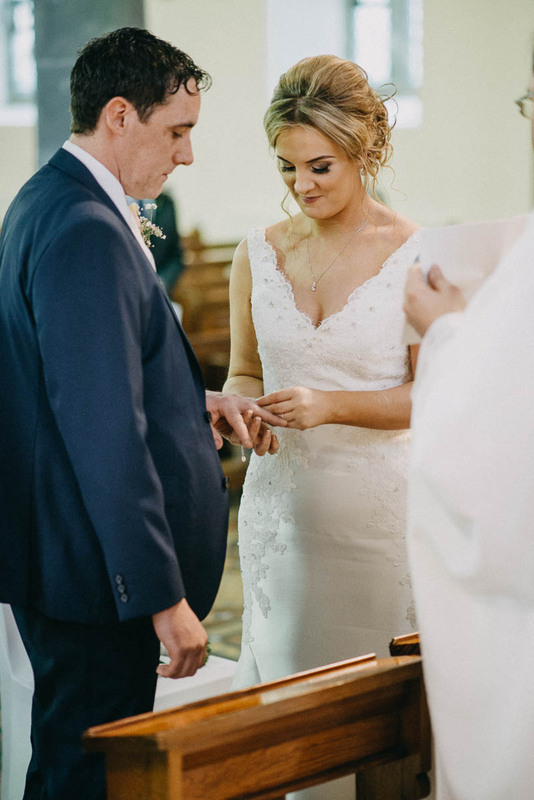 The jewelry was kept to a minimum as she wore simple studs and a sleek pendant, along with a couple of hair accessories. 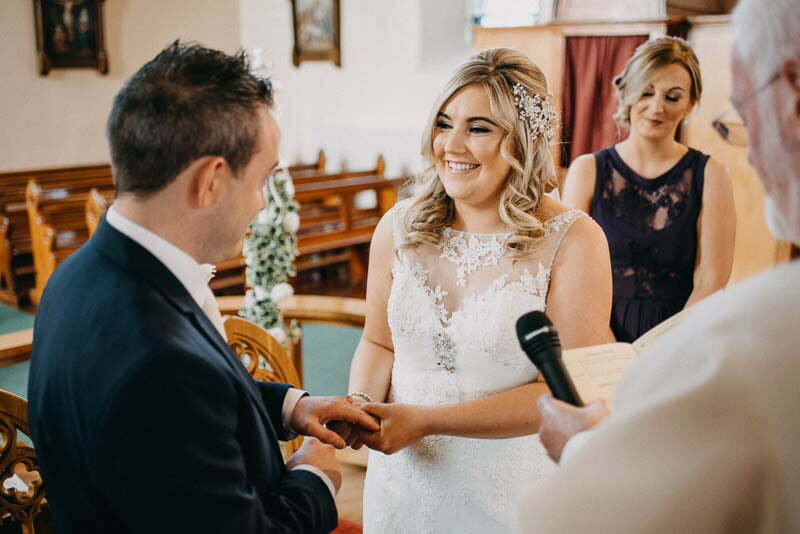 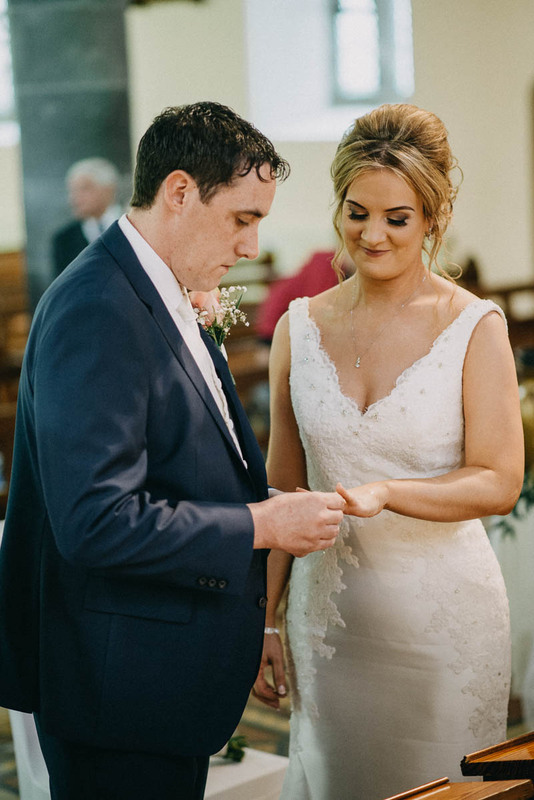 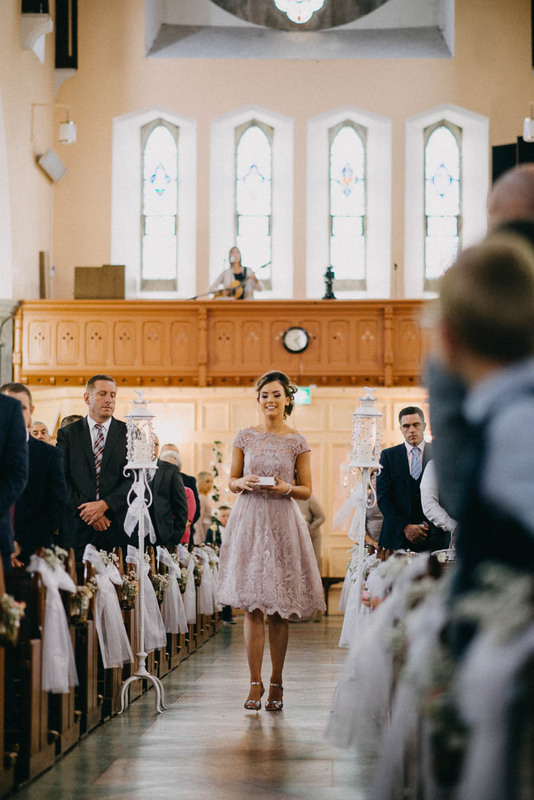 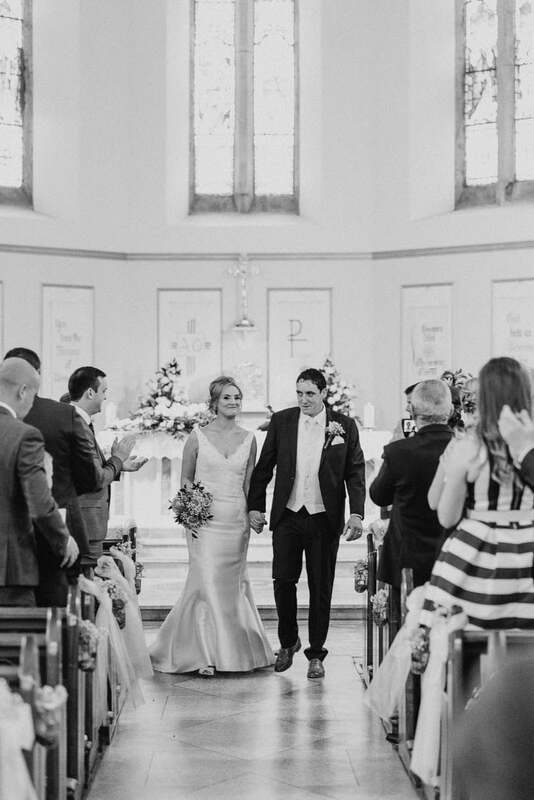 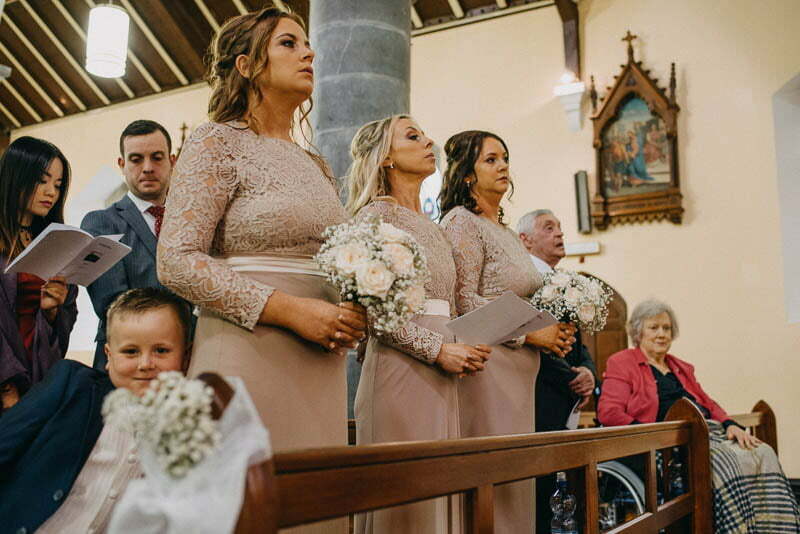 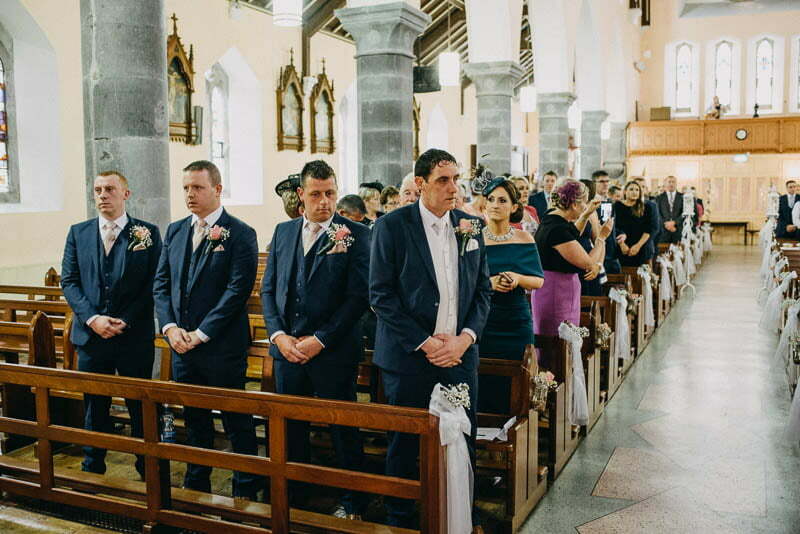 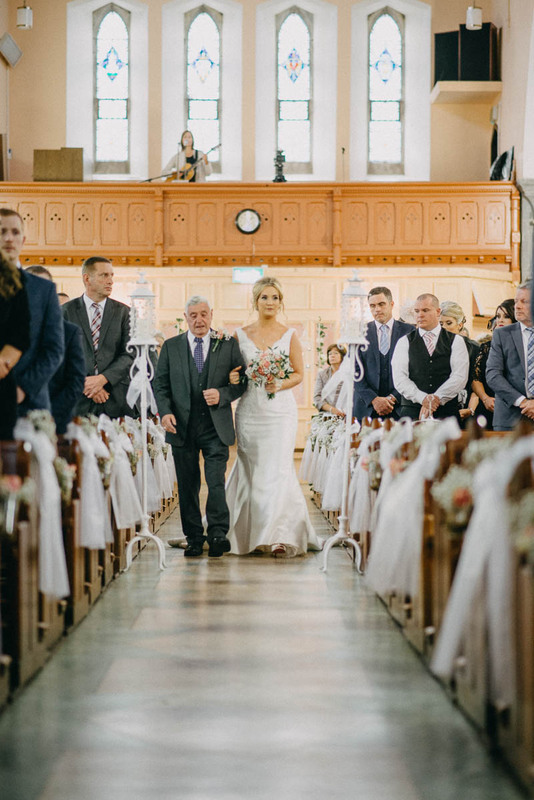 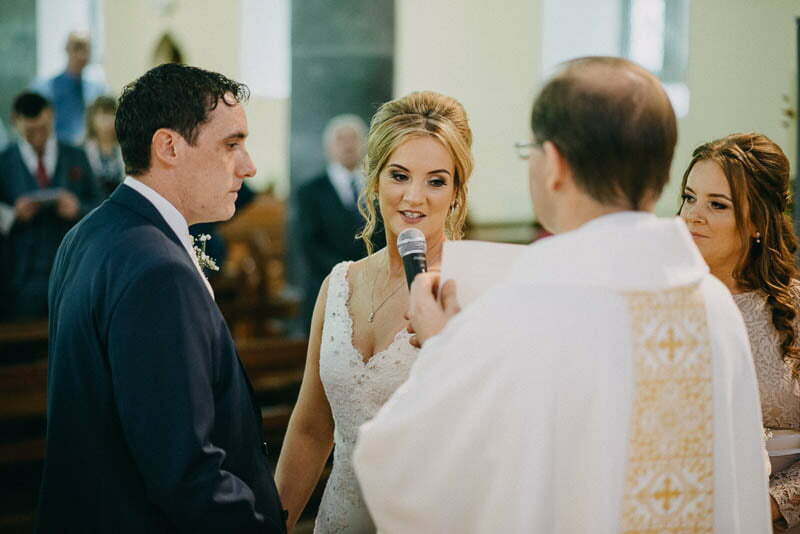 The ceremony was held at the Church of Immaculate Conception in Ballymote. 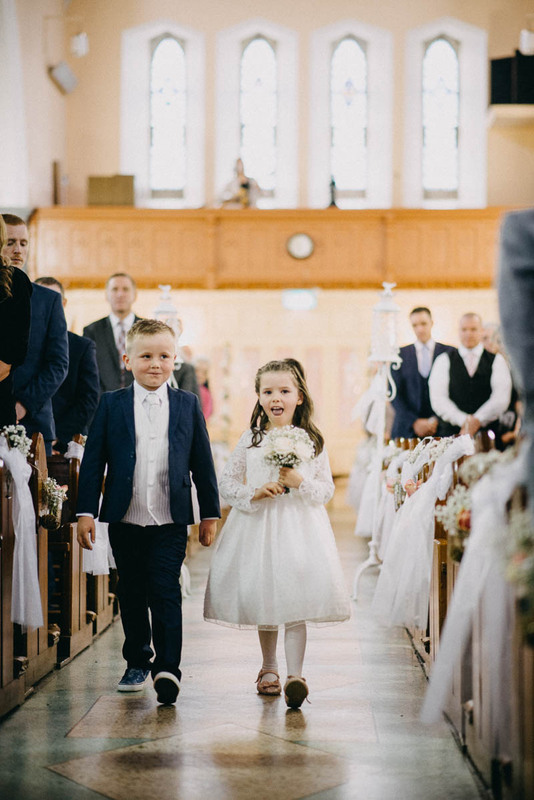 The flower girl and page boy made a cute picture, as they stood confidently and ready to perform their duties! 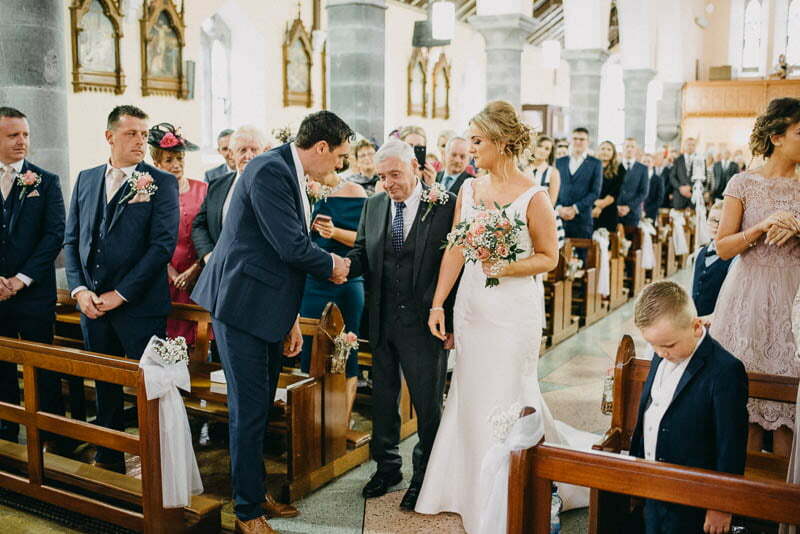 Both bride and groom sashayed down the aisle to the altar, after which they confidently spoke the vows. 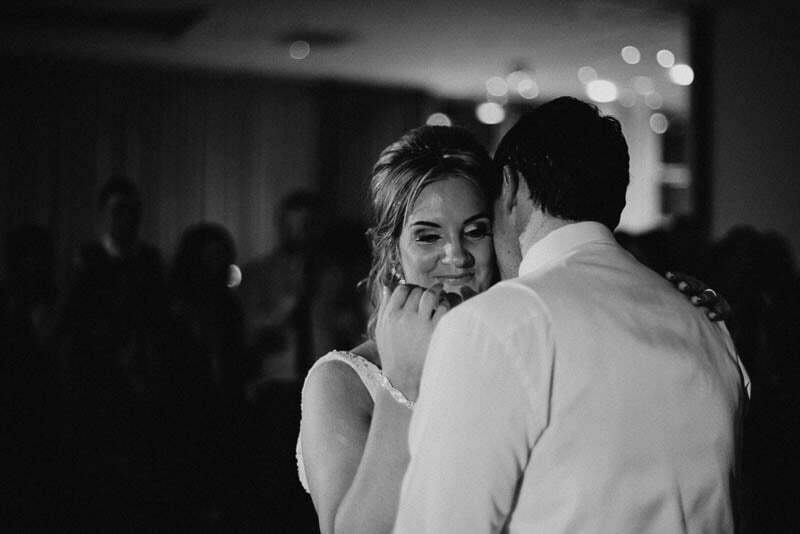 I deliberately shot a few pictures in black and white in order to bring out the natural element of the surroundings in a subtle, yet eye-catching manner. 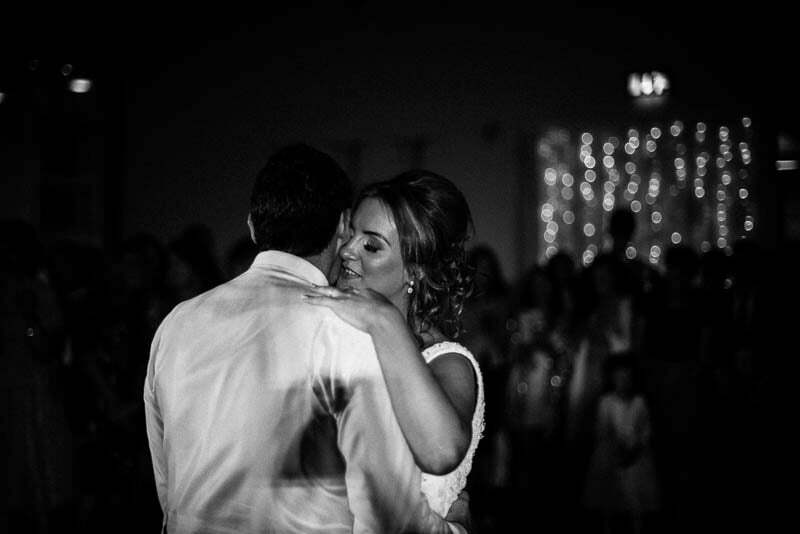 Soon the rings had been exchanged and the exuberant couple was married. 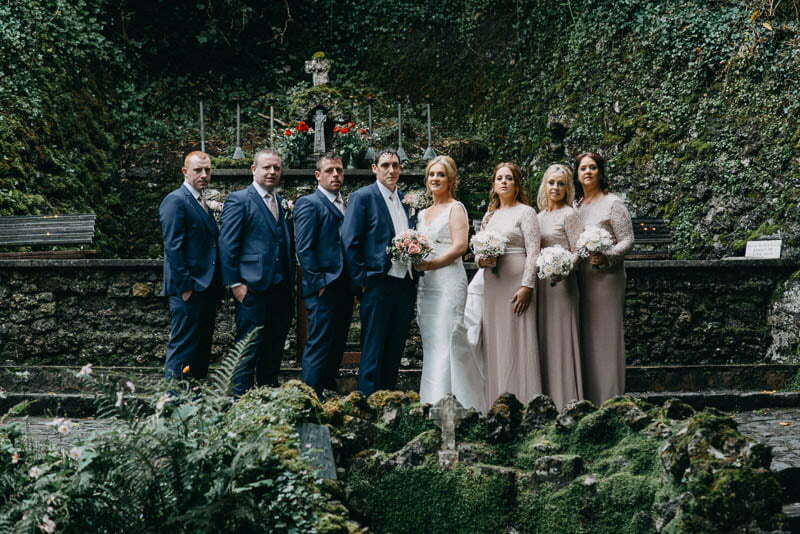 The photo shoot took place in Holy Well. 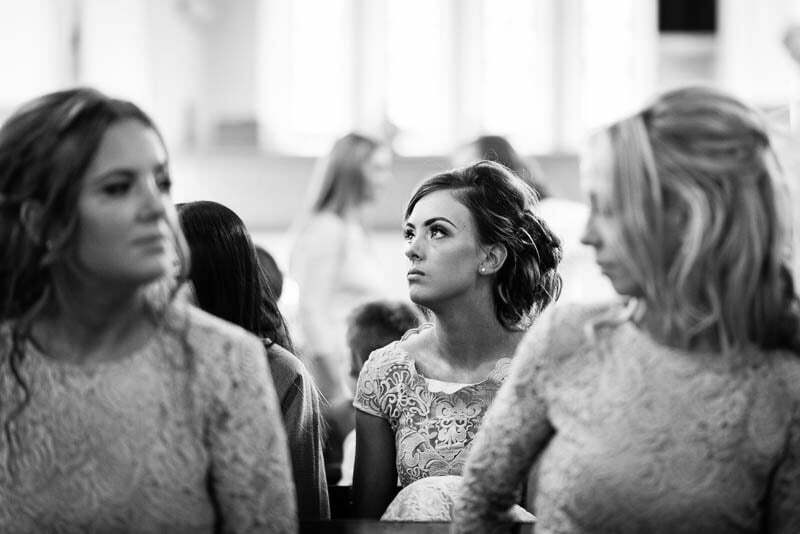 I took a few candids, along with portraits as they brilliantly capture facial expressions. 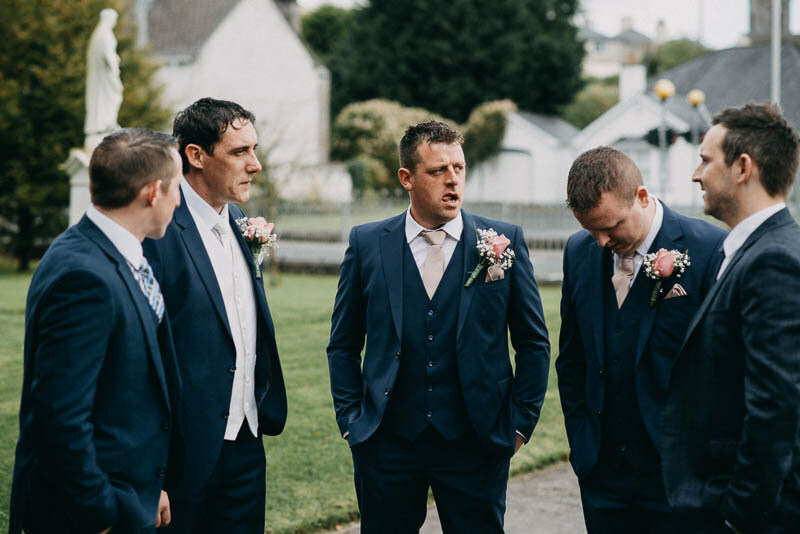 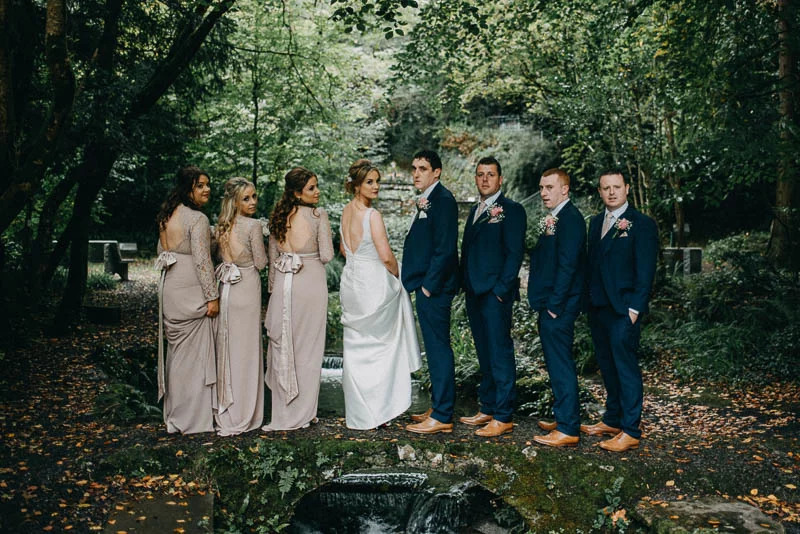 The groomsmen and bridesmaids were thrilled to participate in the session – the photos are amazing as everyone looks great and are having a lovely time. 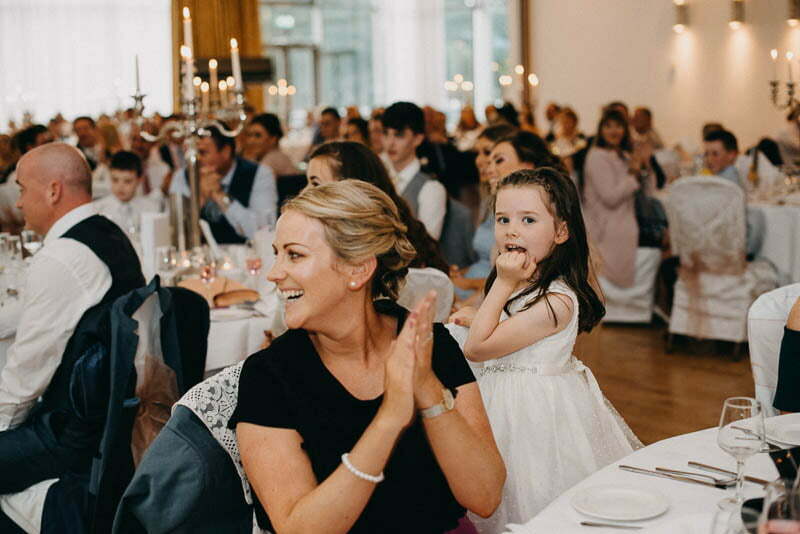 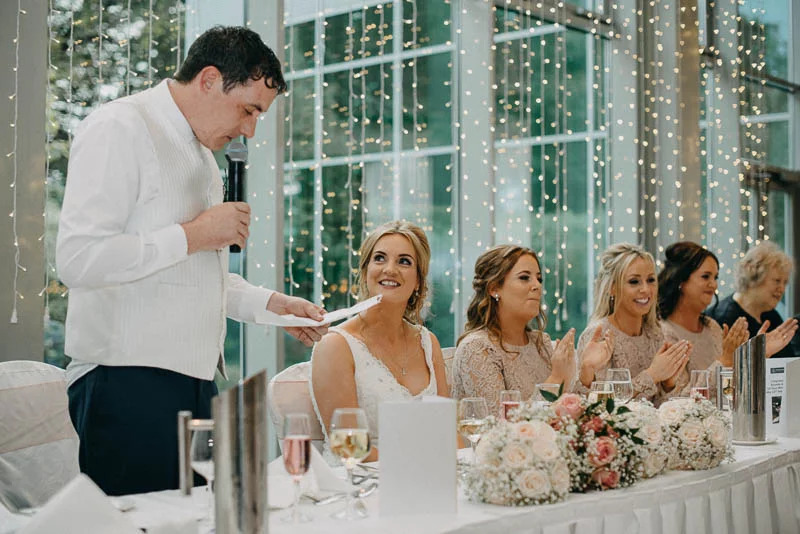 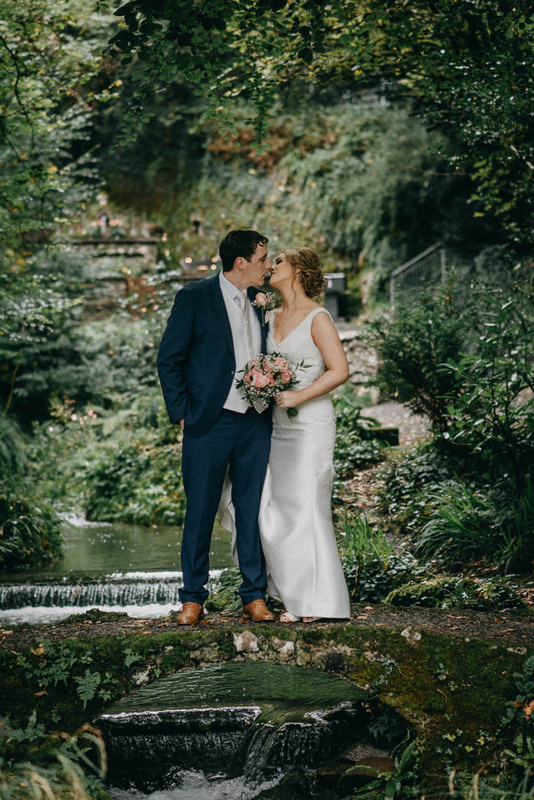 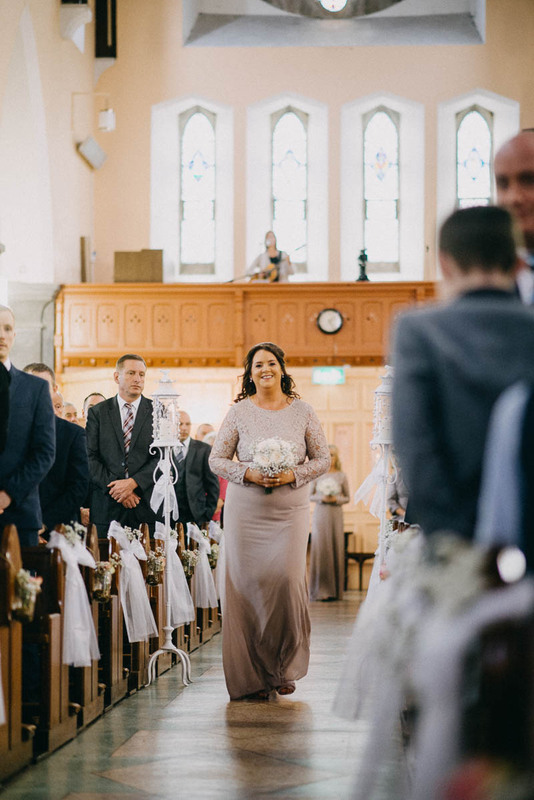 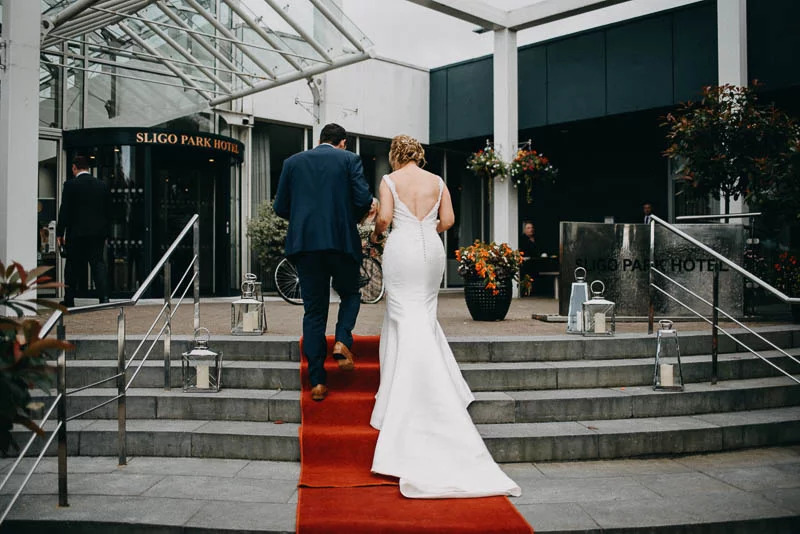 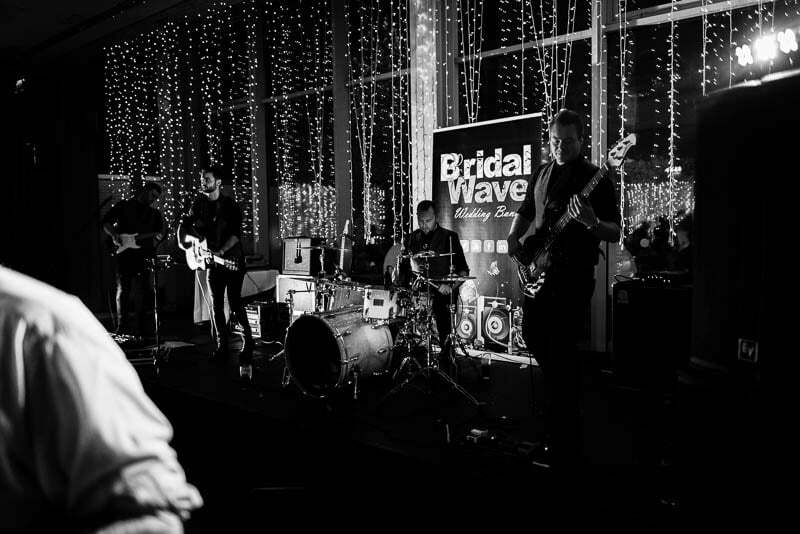 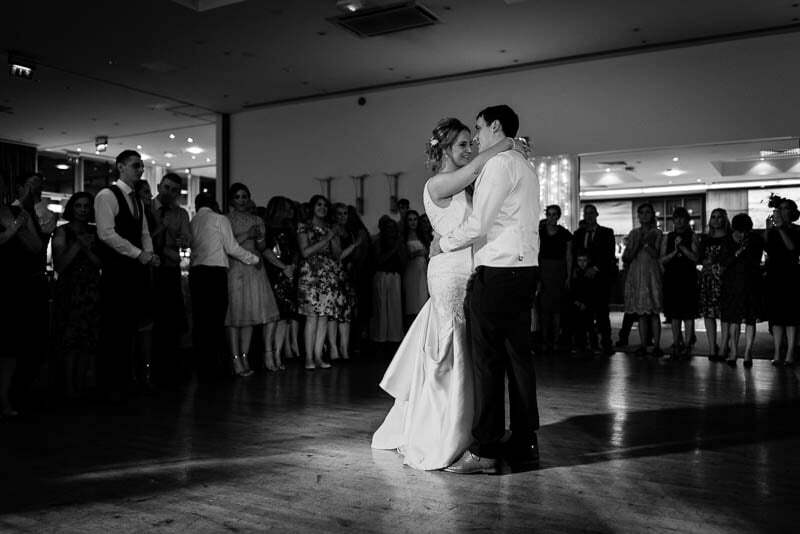 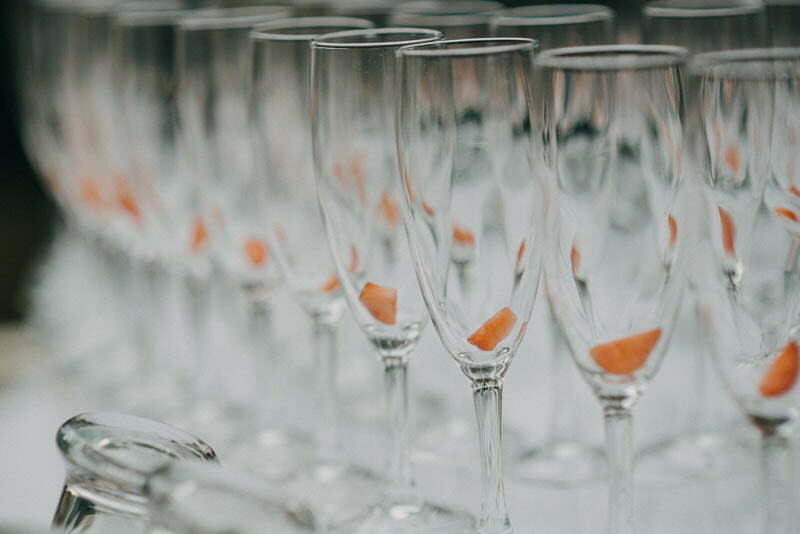 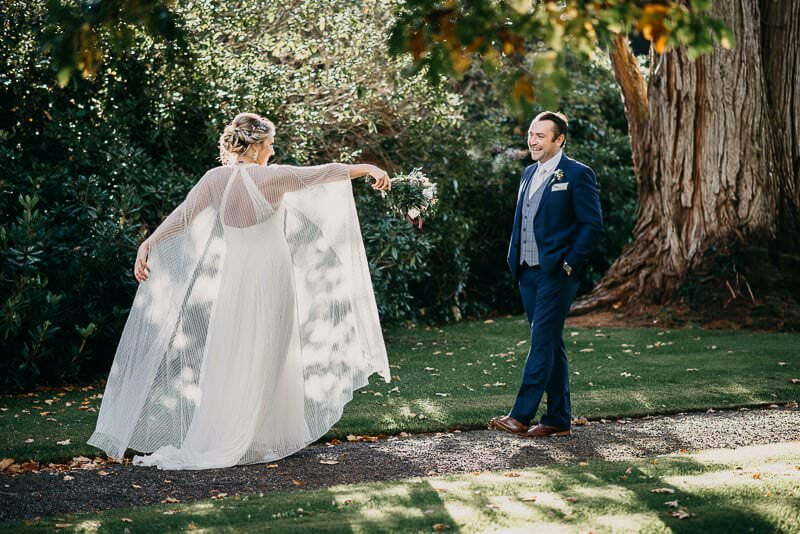 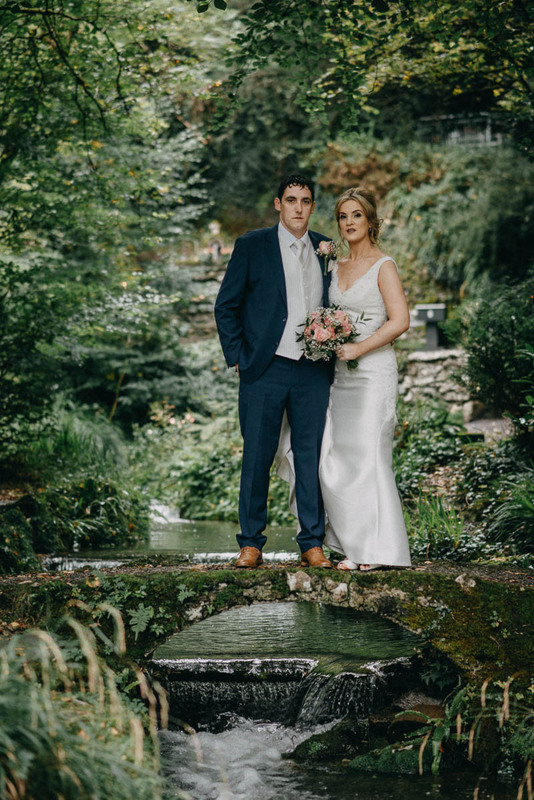 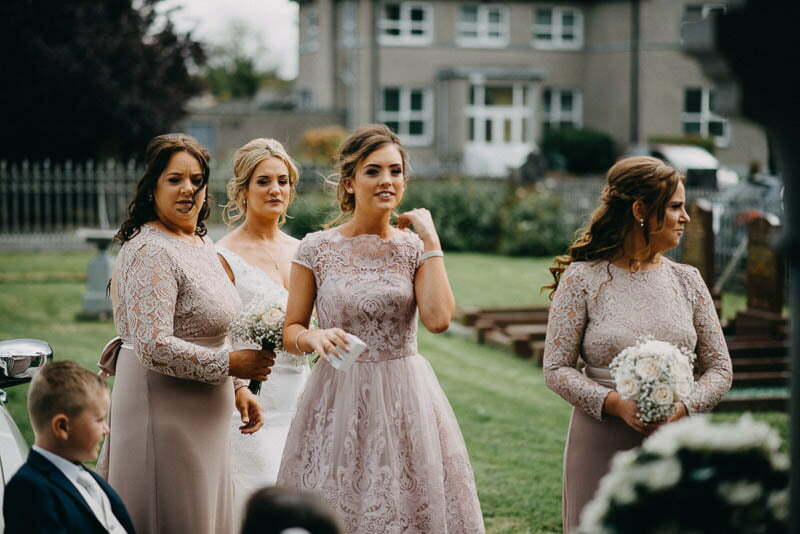 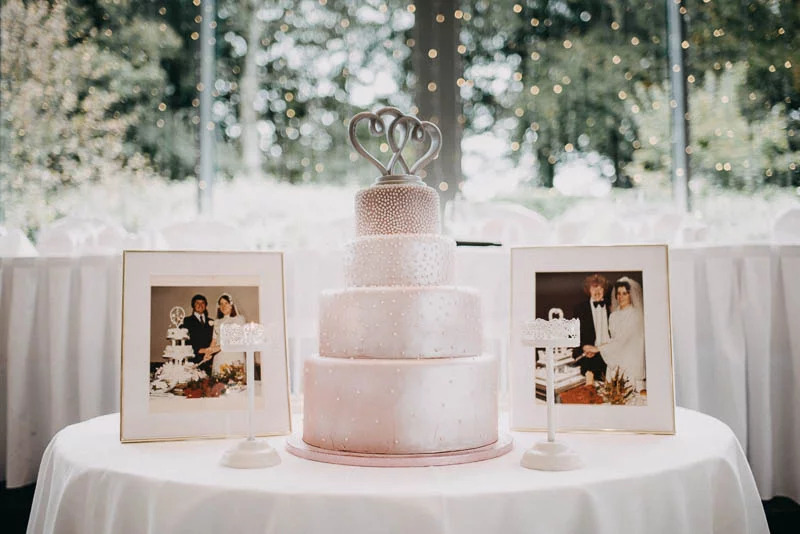 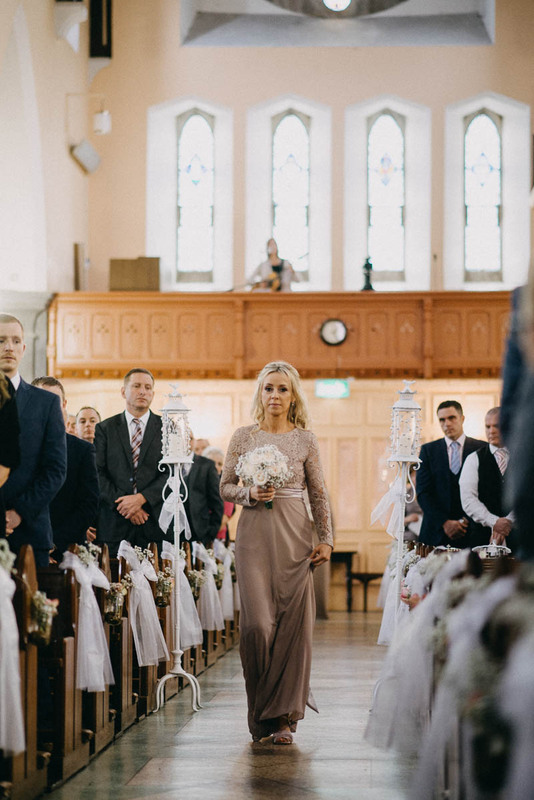 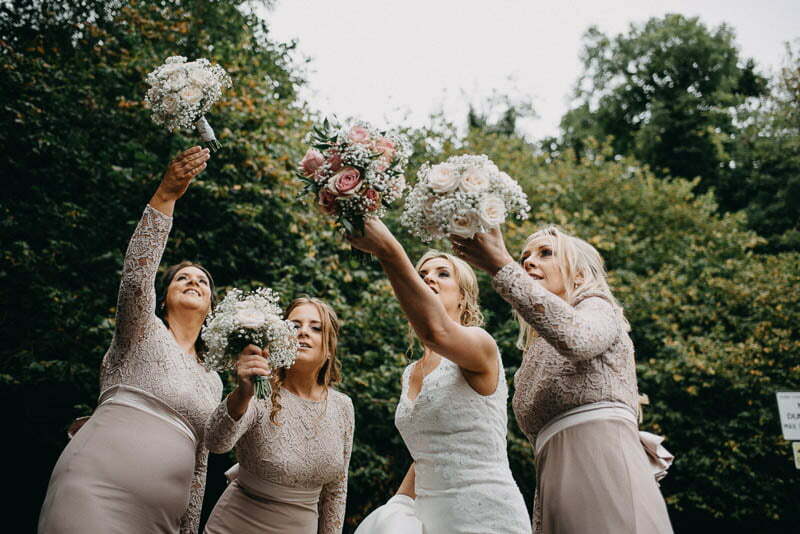 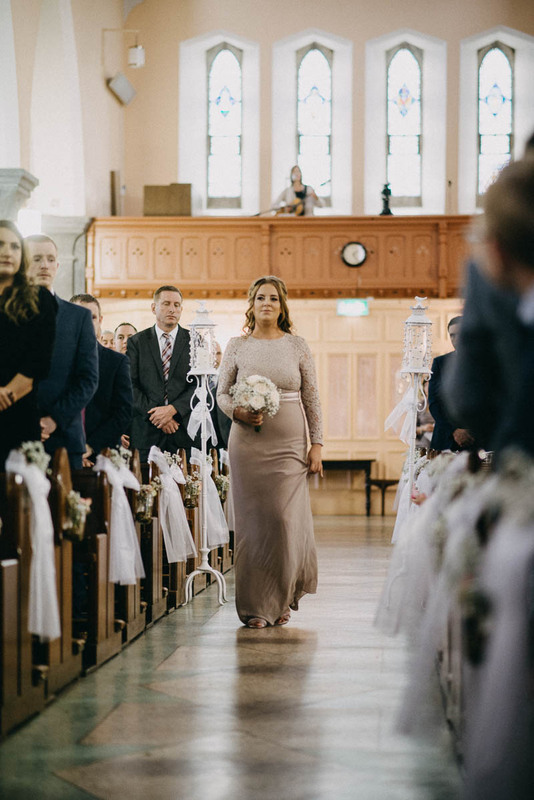 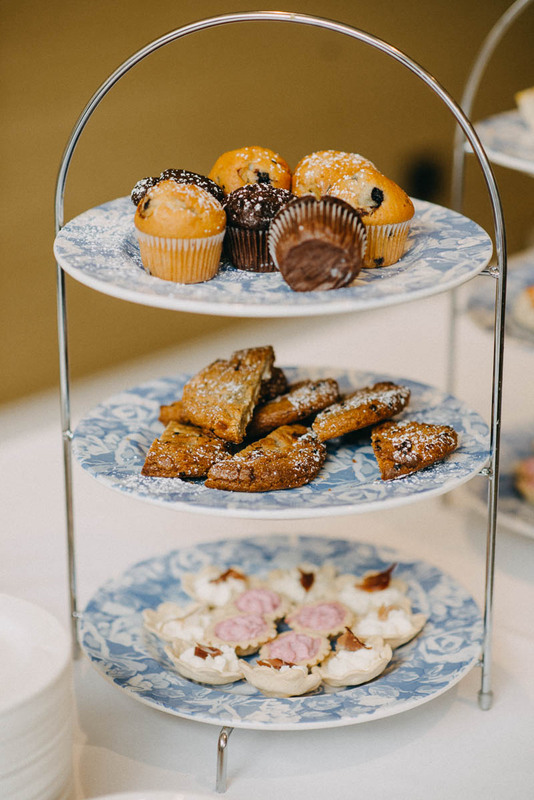 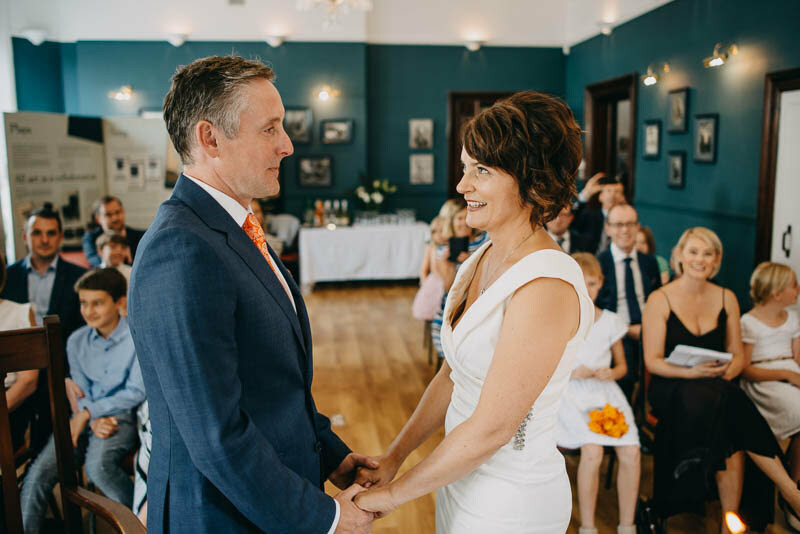 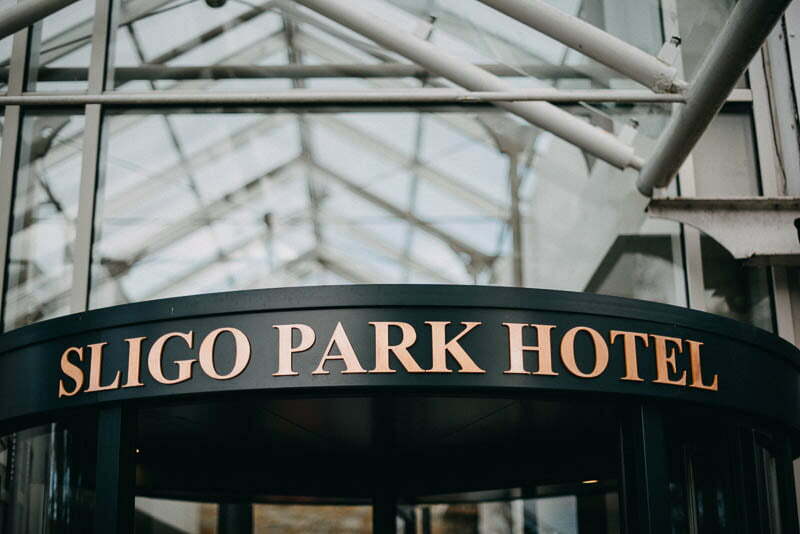 Then it was time to go to the Sligo Park Hotel – the reception venue. 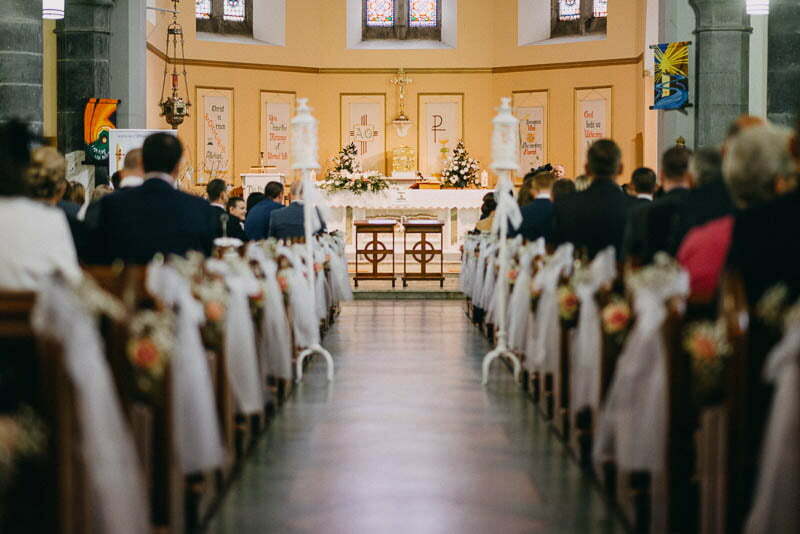 I clicked some photos of the speeches and the venue, which was tastefully decorated. 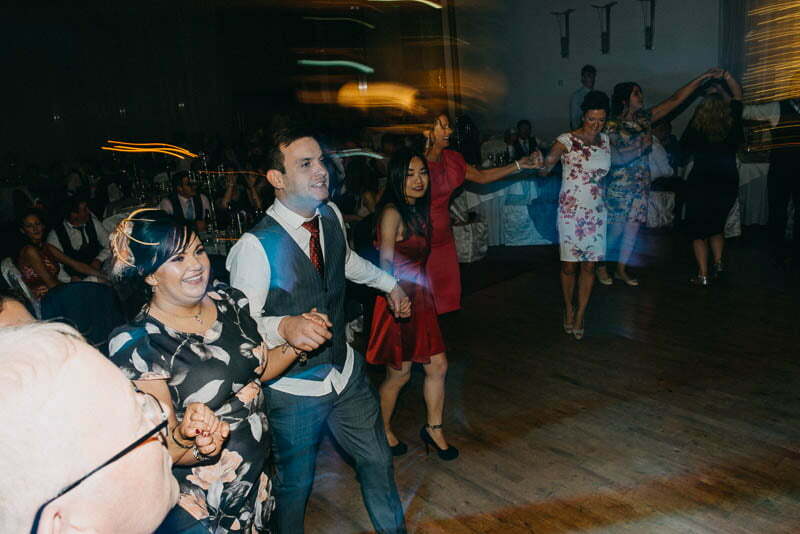 However, guests were eager to party and show off dance moves. 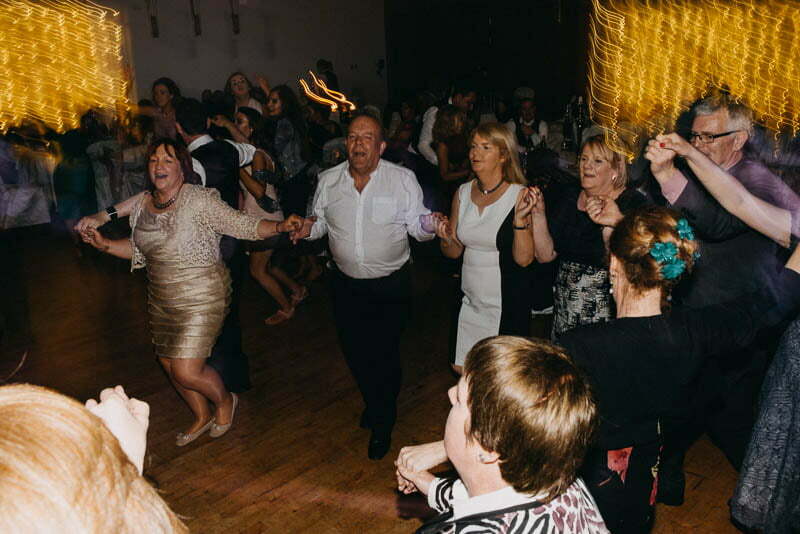 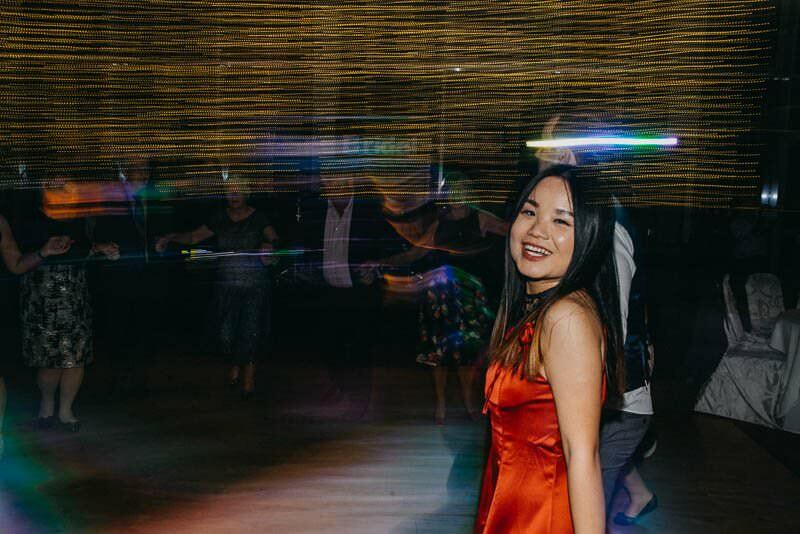 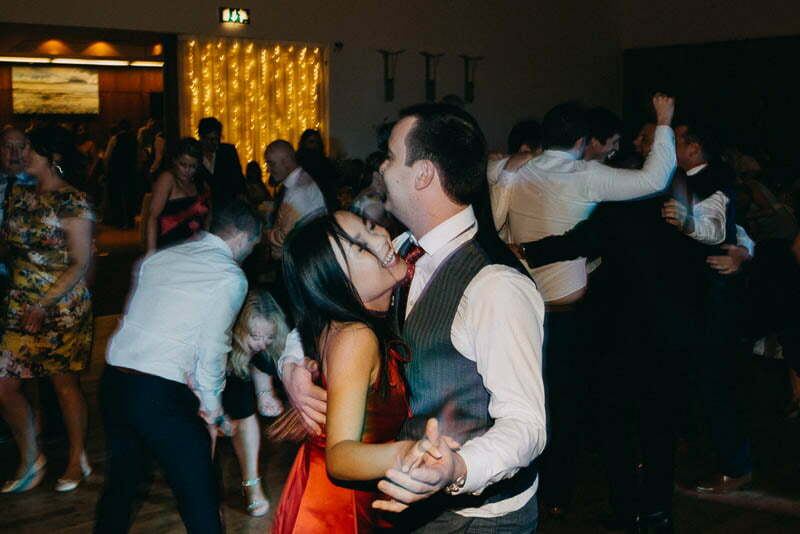 The dance floor was packed with friends and family having a gala time, in the midst of which Brian and Annette had their first dance as a couple. 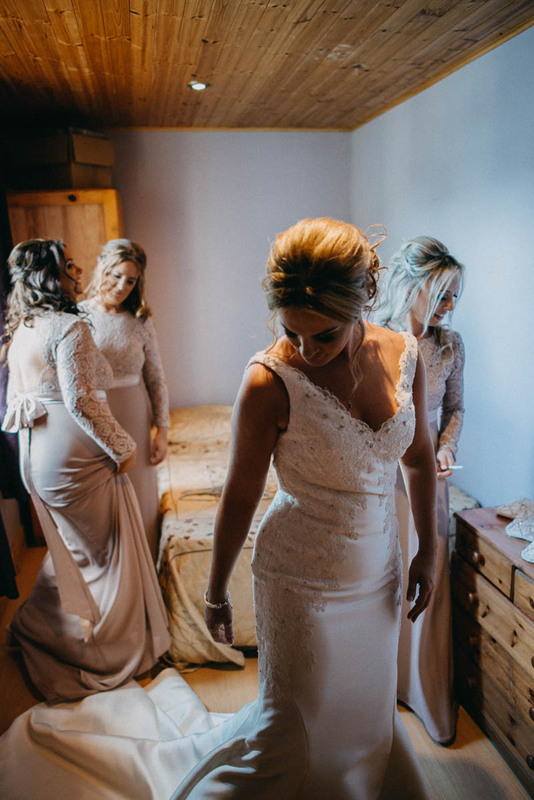 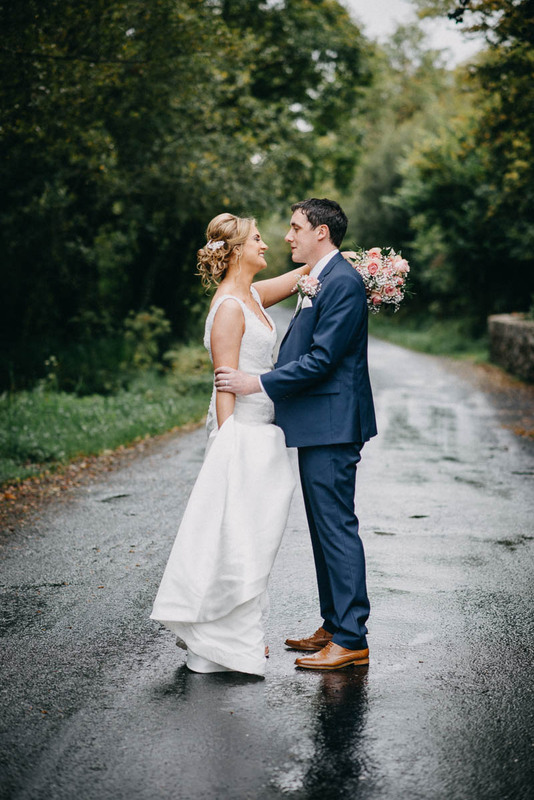 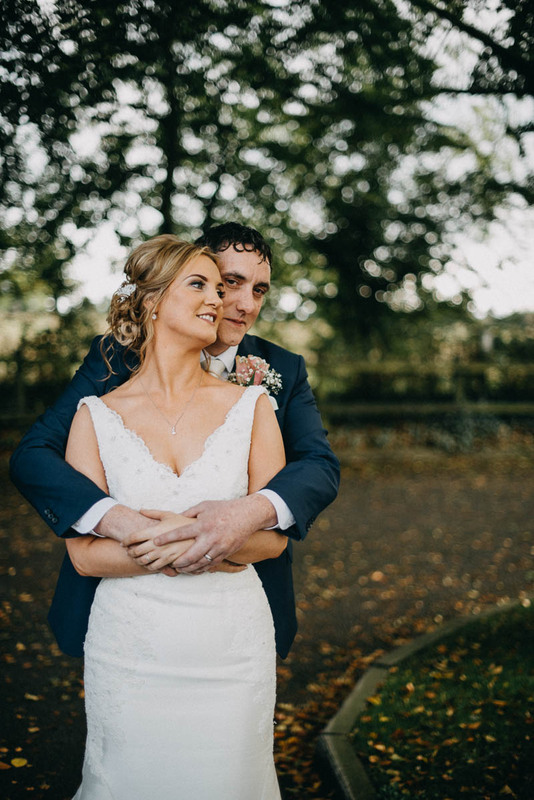 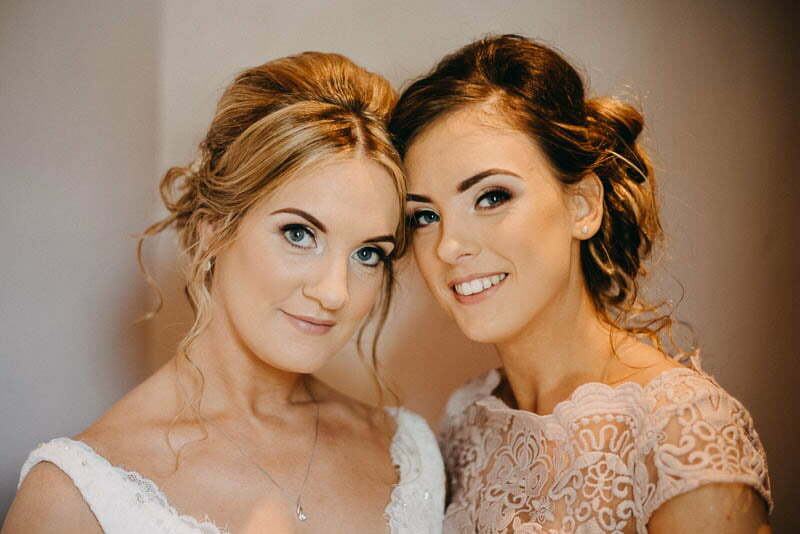 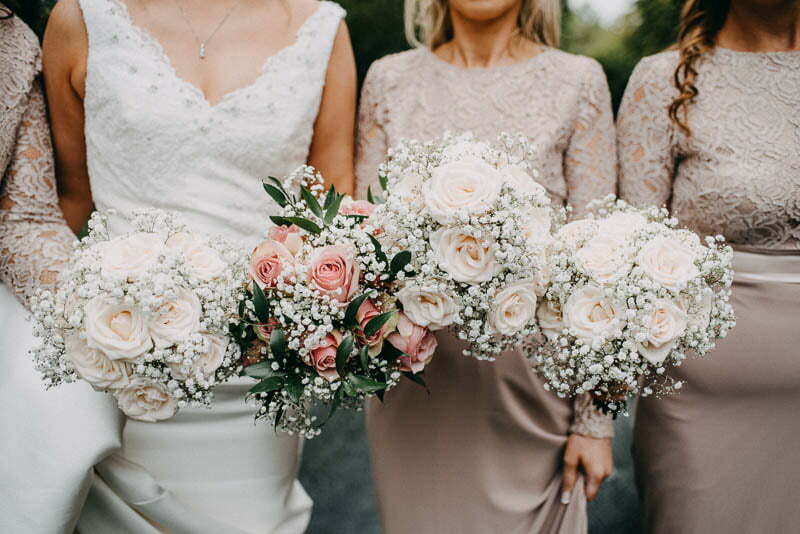 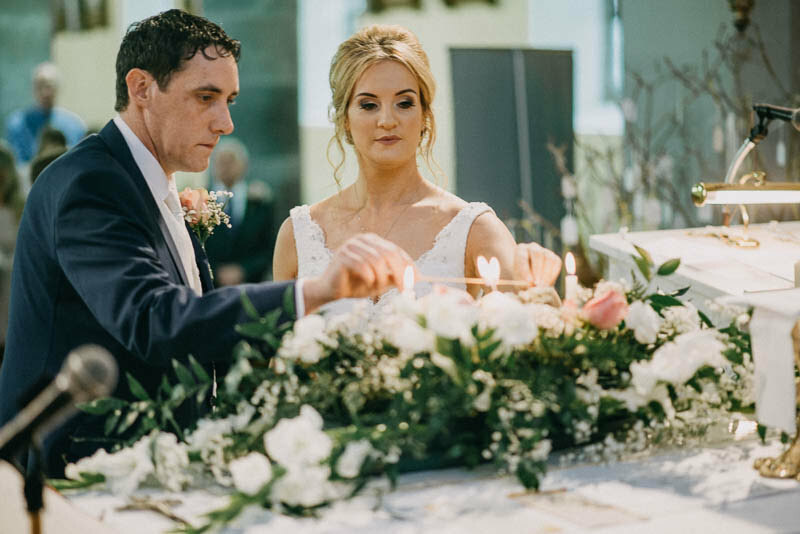 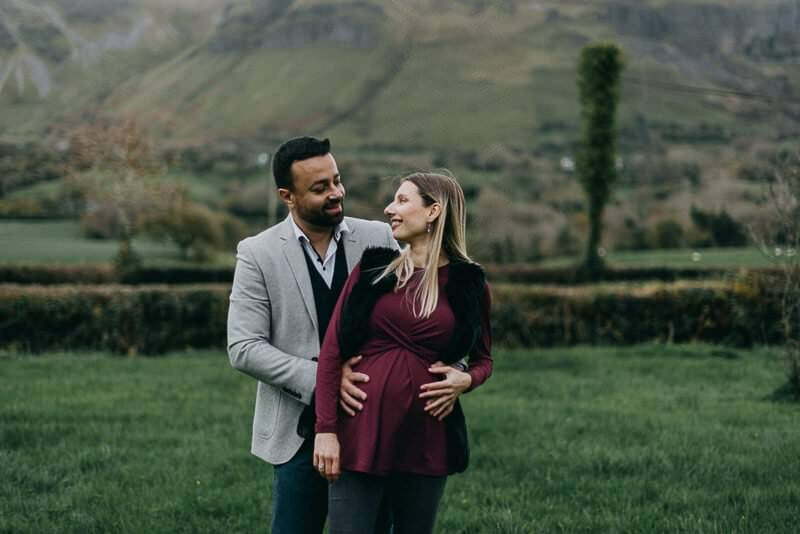 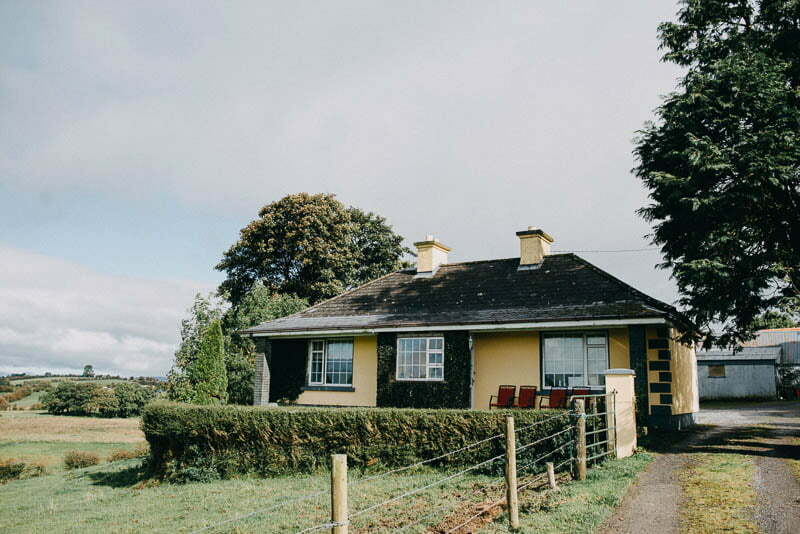 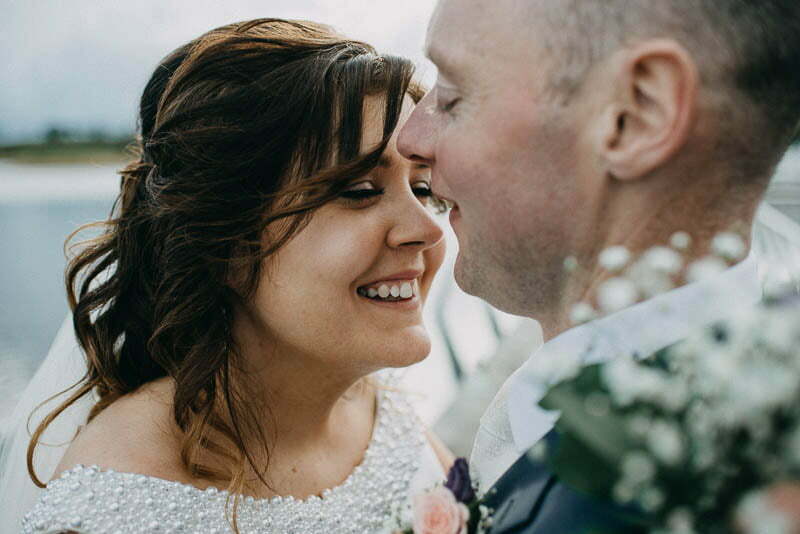 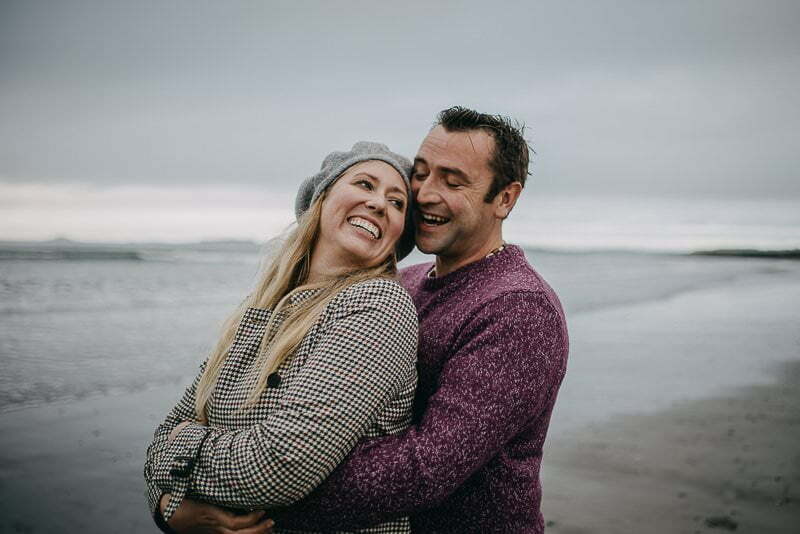 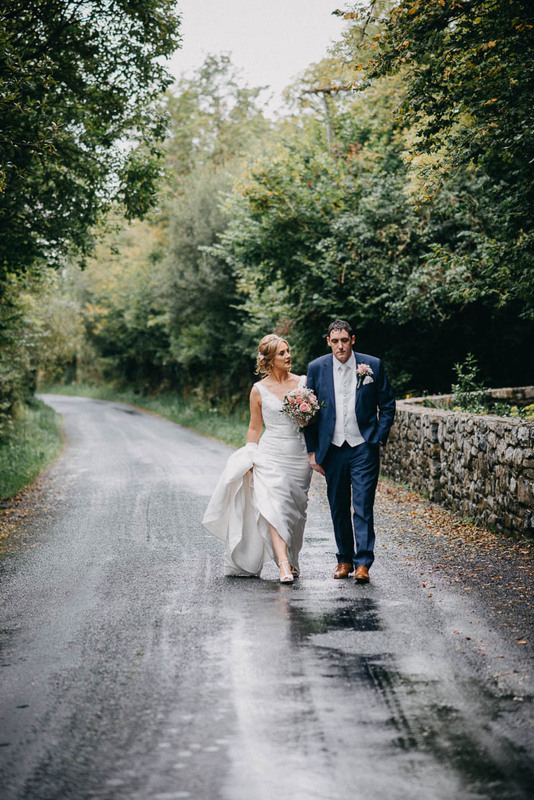 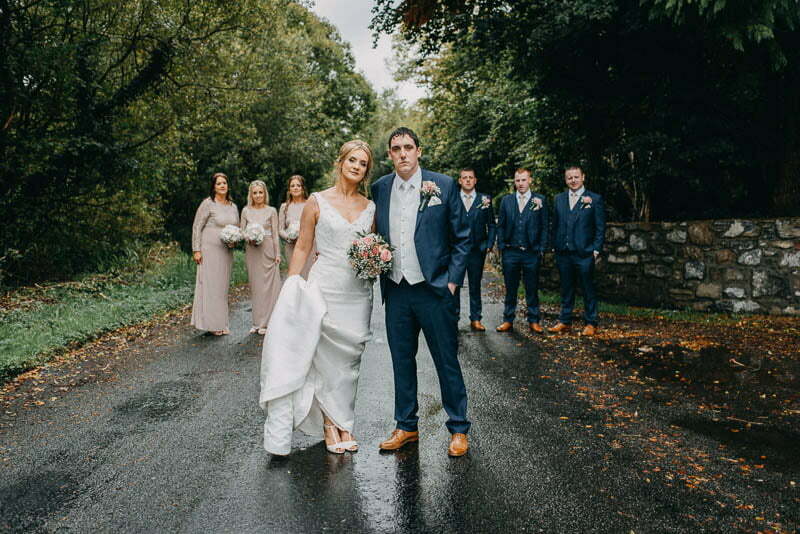 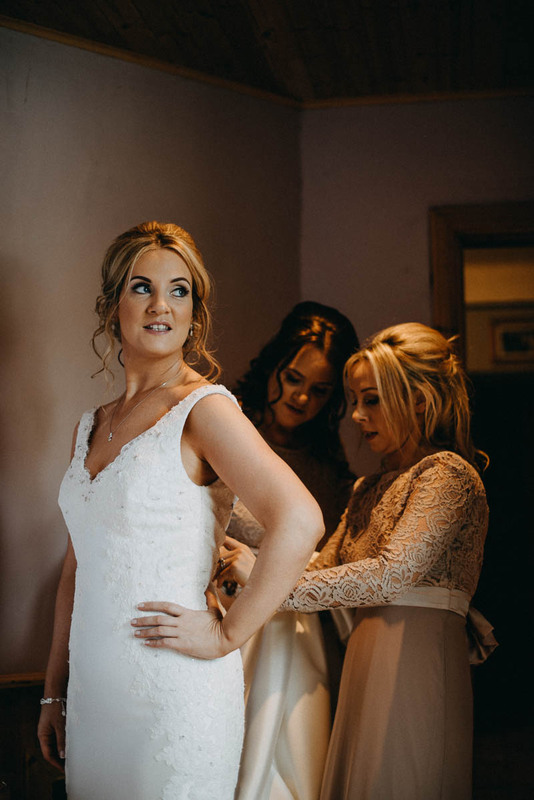 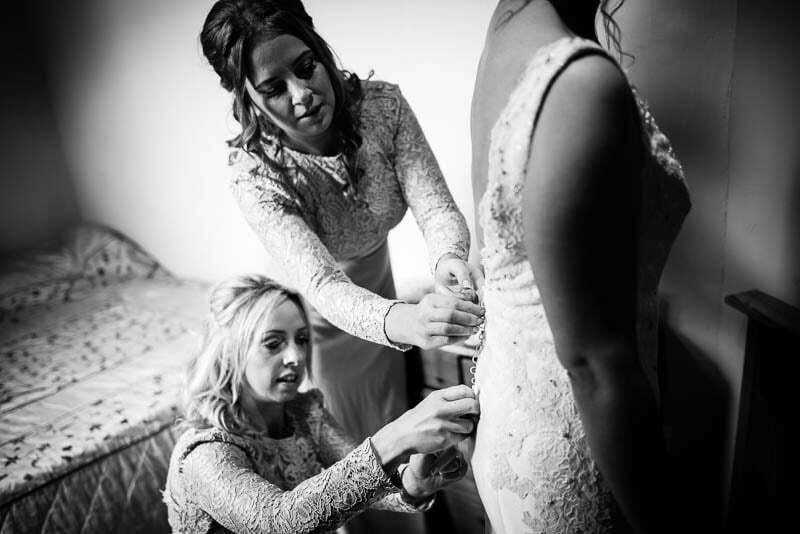 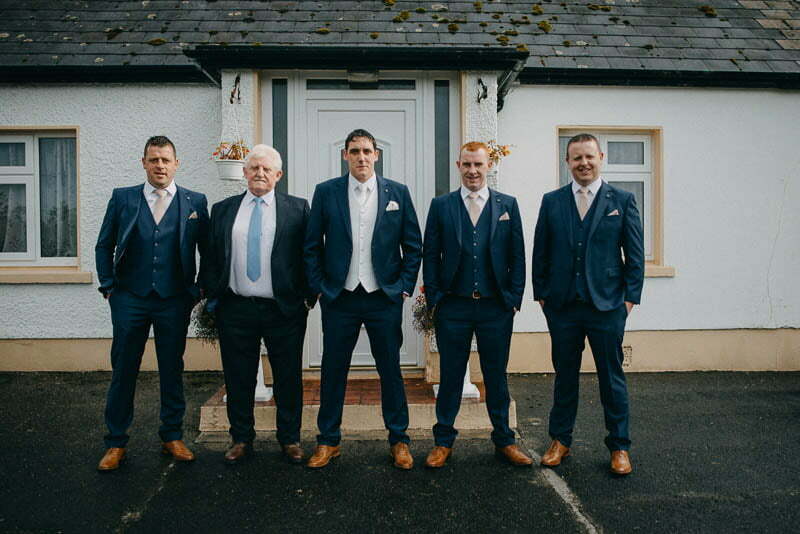 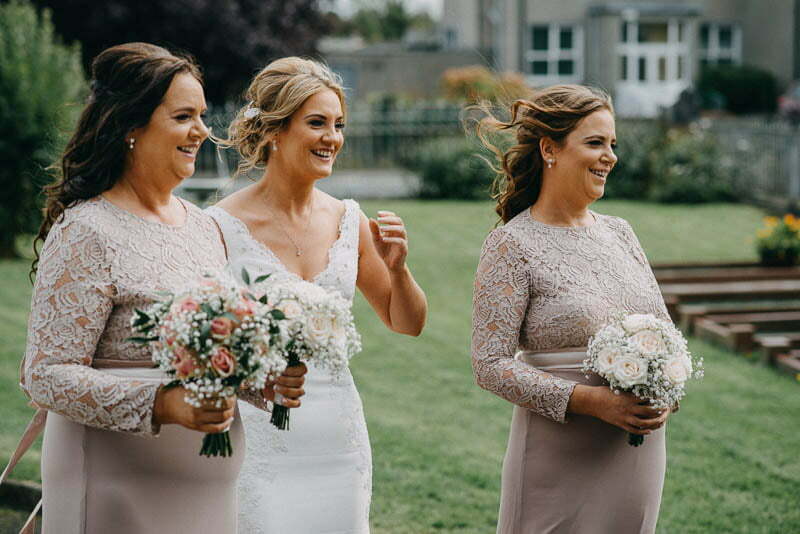 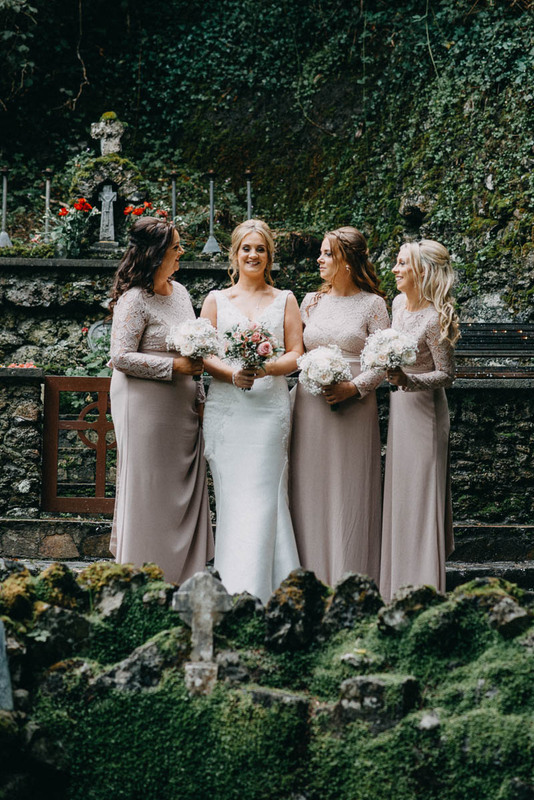 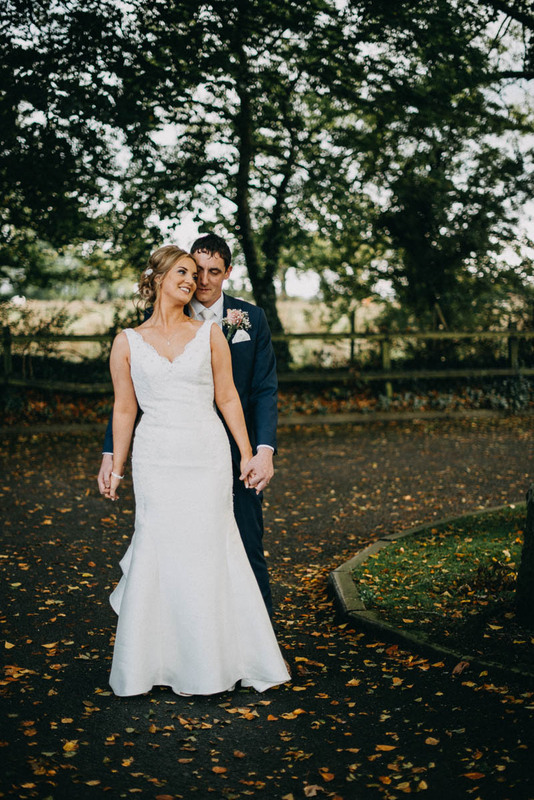 Looking for a Sligo photographer? 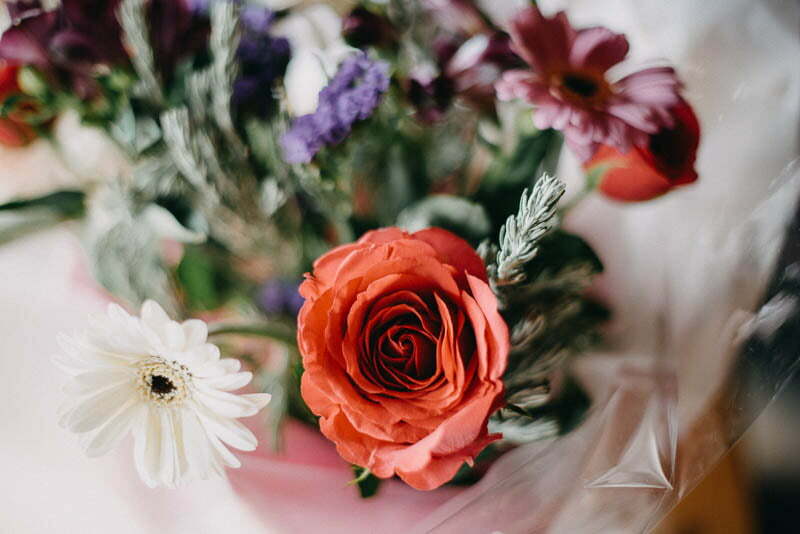 Feel free to get in touch with me!